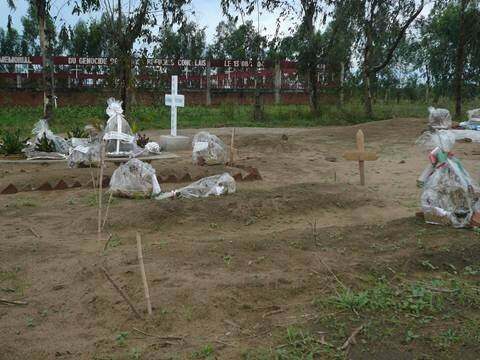 Graves of victims of the September 18, 2011 Gatumba attack. Alliance of Democrats for Change (Alliance des démocrates pour le changement), a coalition of opposition parties formed in June 2010. Association for the Protection of Human Rights and Detained Persons (Association pour la protection des droits humains et des personnes détenues), a Burundian human rights organization. United Nations Office in Burundi (Bureau des Nations Unies au Burundi). National Council for the Defense of Democracy-Forces for the Defense of Democracy (Conseil national pour la défense de la démocratie-Forces pour la défense de la démocratie), currently the ruling party in Burundi. National Independent Human Rights Commission (Commission nationale indépendante des droits de l’homme). National Liberation Forces (Forces nationales de libération), a former rebel group, led by Agathon Rwasa, that became a political party in April 2009. Front for Democracy in Burundi (Front pour la démocratie au Burundi), a political party. Mobile Rapid Intervention Group (Groupement mobile d’intervention rapide), a unit of the national police. Movement for Solidarity and Democracy (Mouvement pour la solidarité et la démocratie), a political party founded in 2007 by former Radio publique africaine (RPA) journalist Alexis Sinduhije. African Public Radio (Radio publique africaine), a private Burundian radio station. National Intelligence Service (Service national de renseignement). For many Burundians, 2011 was a dark year, marked by alarming patterns of political violence. Scores of people have been brutally killed in politically motivated attacks since the end of 2010. The state security forces, intelligence services, members of the ruling party and members of opposition groups have all used violence to target real or perceived opponents. The victims have included members and former members of political parties; members of their families; other individuals targeted because of their presumed sympathy with the ruling party or the opposition; demobilized rebel combatants; and men, women, and children with no known political affiliation who simply found themselves in the wrong place at the wrong time. Political killings escalated throughout the year, with a string of targeted assassinations and a pattern of reprisals: killings of opposition sympathizers were quickly followed by killings of ruling party sympathizers, and vice-versa, leading to a cycle of violence that neither side seemed prepared to break. Human Rights Watch conducted extensive field research in Burundi in 2011 and early 2012 to document individual cases and patterns of political killings across the country. The research also focused on steps taken by government and judicial authorities in response to the political violence. The decision to conduct this research was motivated by the escalation of violence throughout 2011 and the overwhelming absence of justice for the majority of these crimes. Most of the information in this report is drawn from face-to-face interviews with victims of political violence, their relatives, eye-witnesses of attacks, government and judicial officials, members of civil society organizations, investigative journalists, and other sources. In September 2011, the single most deadly attack in Burundi for several years took place in Gatumba, near the Congolese border: at least 37 people were killed when gunmen burst into a bar and shot indiscriminately at the crowd. The findings of Human Rights Watch’s investigation into this incident are presented in detail in this report. The exceptional scale of the Gatumba attack elicited a strong public reaction by the Burundian government: it vowed to find the perpetrators within a month and set up a commission of inquiry. The attack was also widely covered in the international media. However, most of the other incidents were barely reported, other than by a few Burundian radio stations and newspapers. Common to almost all these incidents is the blanket impunity protecting the perpetrators. In the vast majority of cases documented by Human Rights Watch, the individuals responsible for ordering or carrying out these killings have not been arrested, charged or tried, even when they have been identified by witnesses. Not only has the state failed to take reasonable steps to ensure security and provide protection for its citizens, it has also not fulfilled its duty to take all reasonable measures to prevent and prosecute these types of crimes. The impunity has been particularly striking in cases where the perpetrators are believed to be linked to the security forces or the ruling party (National Council for the Defense of Democracy-Forces for the Defense of Democracy, Conseil national pour la défense de la démocratie-Forces pour la défense de la démocratie, CNDD-FDD). In these instances, most of the victims were members or former members of the National Liberation Forces (Forces nationales de libération, FNL), one of the main rebel groups during Burundi’s civil war, which turned into a political party in 2009. In a minority of cases, members of other opposition parties, such as the Front for Democracy in Burundi (Front pour la démocratie au Burundi, FRODEBU) and the Movement for Solidarity and Democracy (Mouvement pour la solidarité et la démocratie, MSD), were also targeted by state agents or members of the ruling party. In most of the cases Human Rights Watch has documented, there has been no judicial process at all. At best, there have been cursory investigations that have not been followed by arrests or prosecutions. In some particularly sensitive cases in which police officers or other state agents may have been implicated, government or judicial authorities actively blocked investigations and obstructed the pursuit of justice. Even in cases where the victims were members of the ruling CNDD-FDD, it has been difficult for the victims and their families to obtain justice. In some cases, the police carried out arrests and prosecutors opened casefiles, but these casefiles often lacked critical evidence, and the process of pushing the cases through the courts was painfully slow. In some cases, local residents and individuals close to the victims have privately questioned whether those arrested may have been scapegoats, believing that the real perpetrators were still at large. In the one case where arrests and a trial took place relatively quickly (the September 2011 Gatumba attack), there were doubts about the fairness of the trial which was marred by serious irregularities, with several defendants claiming to have been tortured. Several factors have impeded the search for justice for political killings in Burundi. Some of the alleged perpetrators have been protected for political and other reasons; this has been exacerbated by a weak and under-resourced justice system which, additionally, suffers from lack of independence. Furthermore, witnesses and relatives of victims have often been afraid to testify for fear of reprisals. Human Rights Watch documented several cases in which individuals who reported incidents to the police or judicial authorities were repeatedly threatened by people linked to the killings. Some victims’ relatives who, despite such threats, pressed for justice, have done so in vain. Most of those interviewed by Human Rights Watch spoke on condition of anonymity, fearing for their safety. The state has been unable or unwilling to provide security for witnesses. These killings have taken place in a post-election context in which none of the main protagonists have been prepared to engage in meaningful political dialogue or reconciliation without resorting to violence, or the threat of violence. The CNDD-FDD consolidated its hold on power in 2010, following the victory of President Pierre Nkurunziza in an election he contested as the sole presidential candidate: most of the opposition parties boycotted the polls, alleging widespread fraud in the first set of local elections. Despite significant internal divisions, the ruling party remains in a strong position, while the opposition − also facing internal divisions − is fragmented and weak. Many opposition leaders have been living in exile since the 2010 elections; the coalition of opposition parties, the ADC-Ikibiri, is not officially recognized. Opposition leaders living in exile have refused to return to Burundi, despite public reassurances and invitations by the president, partly out of fear for their safety and partly because some do not believe that the government’s overtures are in good faith. In this political impasse, both sides have resorted to violence to settle scores, and occasional international pressure and quiet diplomacy to find a peaceful solution have not been successful. FNL elements and other opposition groups have retreated to the bush and to bases in neighboring Democratic Republic of Congo (DRC) and taken up arms once again, while elements of the security forces and other individuals close to the CNDD-FDD have carried out targeted assassinations against their opponents. Burundi has only recently emerged from more than a decade of civil war and brutal conflict. After the 2005 and the 2010 elections, there were hopes that the country would return to normality and that Burundians could begin enjoying peace and security once again. Unfortunately, for many, those hopes have been dashed. The recent violence in the country has not been on the scale of the violence that took place in the 1990s, with the exception of the September 2011 Gatumba attack. Most of the recent killings have taken the form of individual, targeted assassinations, rather than large-scale massacres. They have also tended to be concentrated in certain provinces, notably in areas of the capital Bujumbura and the surrounding province of Bujumbura Rural. With the exception of a few cases in other provinces, such as Gitega and Kayanza, the rest of the country has remained relatively calm. Nevertheless, the number of victims quickly adds up: during the worst periods in 2011, barely a week went by without a fresh report of an apparently politically motivated murder. The population in the affected areas continues to live in fear, and many people have abandoned their homes in search of safety. Pushed into a defensive position by the increase in attacks by armed groups − including on police posts and other government targets − the government has lashed out not only at its political or armed opponents, but also at civil society activists and journalists who have documented and denounced the violence. In 2011, leading human rights activists and journalists were repeatedly harassed, intimidated, and called in for questioning by judicial authorities after publishing or broadcasting reports on political killings and other human rights abuses. In public speeches, senior government officials, including President Nkurunziza, have issued strongly-worded warnings to civil society organizations and the media in response to their denunciations of political killings, accusing them of inciting civil disobedience and of being tools of the political opposition. Alongside these negative trends, some positive human rights developments have taken place in Burundi. In 2011, the newly-established National Independent Human Rights Commission (CNIDH) finally began its work; it was able to launch investigations and publish statements on its findings, including on sensitive issues such as extrajudicial killings. Despite harassment and intimidation, Burundian civil society organizations remain active, denouncing abuses and campaigning for justice. Human Rights Watch, whose Burundi-based researcher had been expelled in 2010, was allowed back into the country, and its staff visited Burundi a number of times in 2011 and 2012. Senior government and justice officials made explicit commitments to bring to justice individuals responsible for political killings and other human rights abuses, including in several meetings with Human Rights Watch. Burundi also made progress towards establishing a Truth and Reconciliation Commission (TRC) on serious crimes committed during Burundi’s successive conflicts since 1962. A government-appointed technical committee tasked with preparing the creation of the TRC submitted its report in October 2011. The report was made available to a number of organizations and individuals, including members of civil society, in late December 2011. The president has given assurances that the TRC will be established in 2012. If the process is handled impartially and sensitively, it could go some way towards addressing the unresolved political and ethnic tensions which are the legacy of decades of violence in Burundi. Human rights organizations have welcomed moves to establish a TRC but have raised several concerns, including about the composition of the TRC and the government’s lack of firm commitment to establishing a tribunal to try these crimes. Human Rights Watch welcomes these developments, as well as the verbal commitment by senior government and judicial officials − expressed publicly as well privately − to improve the human rights situation in the country. However, Human Rights Watch is concerned that despite these promises, attacks and other types of political killings have continued; many of the victims are yet to obtain justice; and perpetrators of these crimes remain at large. Human Rights Watch urges the Burundian government to take prompt measures to end the impunity protecting those responsible for political killings and to prevent further killings, including by its own security forces, supporters and sympathizers. Leaders of opposition parties and groups also have a responsibility to take immediate action to dissuade their members from attacking their opponents and to make clear that they do not sanction such crimes. At the international level, foreign governments, UN bodies and others concerned about the situation in Burundi should maintain pressure on all sides to prevent further killings and call on them to hold their members and supporters to account. International donors should also advocate strongly for the protection of journalists and civil society activists in Burundi. This report focuses on politically motivated attacks and targeted assassinations between late 2010 and December 2011. The cases presented in this report represent just a small sample of the overall number of killings. They have been chosen to illustrate the main patterns and to draw attention to some of the most serious incidents. This report does not document the equally serious problems of political arrests and detention, ill-treatment, and other abuses that have continued in Burundi alongside these acts of violence. Human Rights Watch has also gathered evidence of these human rights abuses, but prioritized research on political killings in 2011 in view of the escalation of such violence during this period. Several organizations, including the United Nations Office in Burundi (BNUB) and Burundian human rights organizations, have advanced figures of political killings ranging from 40 to 300. On the basis of its own research, Human Rights Watch estimates that at least scores of people have been killed since the end of 2010. It has proved difficult to advance a more precise figure, as there are few, if any, comprehensive or reliable records of these incidents, and Human Rights Watch was able to document only a proportion of reported cases. Some of the killings documented by Human Rights Watch were carried out by members of the security forces, intelligence services or individuals linked to the ruling party, others by suspected members of armed opposition groups, and others by perpetrators whose identity Human Rights Watch has not been able to confirm. Human Rights Watch’s research focused on cases where there seemed to be a clear political dimension. Cases that appeared to be common crimes or where there were no indications of political motive are not included in this report. Principal research for this report was carried out between February 2011 and January 2012. Human Rights Watch researchers and consultants conducted interviews in the provinces of Bujumbura Mairie (Bujumbura town), Bujumbura Rural, Muramvya, Gitega, Cibitoke and Bubanza, and also interviewed witnesses from other provinces. Human Rights Watch researchers interviewed numerous victims and eye-witnesses of incidents of political violence, relatives and friends of victims, journalists, members of civil society organizations and international nongovernmental organizations, members and former members of political parties, national and local government officials, judicial personnel, police officials, foreign diplomats, and United Nations officials. Additionally, Human Rights Watch representatives met senior government officials including President Pierre Nkurunziza, the first vice-president, the minister of interior, the minister of foreign affairs, the minister of justice, the minister of public security, the minister of defense, the prosecutor general, and the ombudsman. Human Rights Watch researchers also held several meetings with the National Independent Human Rights Commission. Government officials’ responses to cases and concerns raised by Human Rights Watch are referenced in this report. Correspondence between Human Rights Watch and the prosecutor general on specific cases of political killings is also referenced in the relevant sections. Because of fear of reprisals, the names of witnesses, family members and friends of victims who spoke to Human Rights Watch have been withheld from this report except in cases in which individuals gave their consent to be cited. Human Rights Watch researchers interviewed multiple sources for each case in order to confirm and validate the reliability of testimony. Most interviews were conducted in French or in Kirundi with the assistance of interpreters. Some interviews were conducted in English or in Kiswahili, again with the assistance of interpreters. Give clear and public instructions to the security forces and intelligence services that extrajudicial killings will not be tolerated, and that any individual suspected of carrying out or ordering assassinations or other grave human rights abuses will be brought to justice. Immediately investigate the role of individuals in the security forces and intelligence services alleged to have participated in or ordered political killings, and suspend them from active duty until investigations have been completed. This includes high-level members of the security forces where there is evidence that they may have been involved in ordering or condoning killings or related human rights abuses. Remind the security forces that individuals suspected of involvement in armed activities or other criminal offences should be arrested. If there is sufficient and credible evidence, these individuals should be charged with a recognizable criminal offense and brought before a court, according to due process and in conformity with Burundian law. Remind the security forces that violence should not be used as a substitute for arrest and prosecution, that law enforcement officials should only use force as a last resort, and that they should respect the United Nations Basic Principles on the Use of Force and Firearms by Law Enforcement Officials at all times. Issue clear instructions to the security forces and intelligence services that under no circumstances should persons be targeted for attack, intimidation or threat on account of their past or present political affiliations, and issue similar directives to the hierarchy of the ruling party, the CNDD-FDD. Call on leaders of the ruling party and the intelligence services to respect the right of former or demobilized combatants to resume a normal civilian life and to participate in or abstain from political activities. Put an immediate end to the pattern of pressure and threats on former FNL members to join the ruling party or the intelligence services. Ensure that investigators, prosecutors and other judicial personnel prioritize and accelerate investigations and prosecutions of political killings, including, but not limited to, the cases mentioned in this report. Ensure that thorough investigations are carried out into all reported cases, in an impartial manner, regardless of the political affiliation of the victims or perpetrators. Ensure that police investigators are trained in fact-finding and information gathering. Strengthen measures to protect witnesses’ safety and proactively encourage witnesses of political killings to report such cases and to testify with a view to bringing the perpetrators to justice. Encourage witnesses to report any threats they may receive as a result of testifying, and bring to justice those responsible for these threats. Remind the police that it is their duty to ensure, in an impartial manner, the safety and protection of all Burundians, regardless of their political sympathies. Respect and promote the independence of judicial institutions and refrain from interfering in the course of justice. Provide adequate support to judicial authorities, including prosecutors and police, to allow them to carry out their work effectively. Stop intimidating and harassing journalists, human rights activists and other members of civil society and allow them to carry out their work, including investigating and reporting on human rights abuses, without hindrance. Make clear public statements that the party or group does not support and will not tolerate political killings, attacks, threats or acts of intimidation by its members, and that involvement in such activities is incompatible with membership of the party or group. Ensure that their governing documents, such as party constitutions, principles and rules, do not contain wording that could be interpreted as supporting violence in any form. Fully cooperate with judicial authorities investigating political killings and related abuses, including by providing relevant information on such incidents. Remind their members that political killings and other human rights abuses by their opponents can never justify retaliation. Take immediate measures to assist the authorities to disarm and control party youth groups and ensure that they stop attacking and threatening perceived opponents. Continue to express concern about political killings by all sides in Burundi, raising specific cases where appropriate, and urge the authorities to take effective action to bring the perpetrators to justice and prevent further killings (as recommended above). Call on the Burundian government to publish the reports of the commissions of inquiry it has set up to investigate killings since 2010, including the inquiry on the September 2011 Gatumba attack. Provide support to the Burundian justice system (for example in the form of financial or technical assistance, investigative expertise or training) to strengthen its capacity and to enable it to process the large number of cases of killings within a reasonable timeframe. Ensure that support provided to the Burundian military or police, whether in the form of technical assistance or training, includes a strong human rights training component with practical as well as theoretical application. Urge leaders of political parties and opposition groups to implement the relevant recommendations in this report. Advocate for greater freedom of expression, including press freedom, and protection for journalists, human rights defenders, and other civil society activists in Burundi. Continue supporting and strengthening the National Independent Human Rights Commission. The political violence of 2011 did not occur in a vacuum. In order to understand its causes, it should be analyzed in the context of the 2010 elections, the near total control of the political scene by the CNDD-FDD, the marginalization of the political opposition, and the way politicians on all sides − many of whom rose to prominent positions after serving as fighters in armed groups − used violence as a tool for resolving their differences. The 2011 violence should also be placed in the broader context of Burundi's prolonged civil war which ended in 2009, as some of the current political tensions originate from that conflict. Burundi's recent history, including the past two years, has been tarnished by political violence, notwithstanding reforms and improvements in other areas. Despite moves toward multi-party democracy since 2005, many politicians, aspiring politicians, and former combatants continue to speak and act as if violence was the only avenue for gaining political power. The assassination of democratically elected President Melchior Ndadaye − a Hutu − in 1993 sparked a civil war that followed mainly ethnic lines between the Tutsi-dominated army and the majority Hutu rebels. The conflict claimed tens of thousands of civilian lives. The largest rebel movement, the CNDD-FDD, entered into a formal ceasefire in 2003 and won the 2005 elections. The other principal rebel group, the FNL, remained outside this political process. The civil war ended in 2009 with the transformation of the FNL from an armed group to a political party. Elections were set for 2010, and the two groups began a contest for the country’s majority Hutu vote that often led to violence. While other parties also contested the elections, the CNDD-FDD and the FNL were the main players. The four-month long elections cycle started at the level of communes on May 24, 2010. The National Independent Electoral Commission announced provisional results on May 25, giving the CNDD-FDD a large lead over the FNL. Electoral code violations were reported in isolated areas, and the opposition quickly denounced the results. In June, 12 opposition parties formed a coalition, the Alliance of Democrats for Change (Alliance des démocrates pour le changement, ADC-Ikibiri), and called for new communal elections. The ADC-Ikibiri subsequently boycotted the remainder of the electoral calendar. Foreign governments and diplomats, prioritizing stability over voting irregularities, maintained that the elections were free and fair and criticized the opposition boycott. Burundian civil society organizations which observed the elections, as well as international election monitors, noted some electoral irregularities but maintained that these would not have affected the election results in a significant way. Following the 2010 elections, the CNDD-FDD maintained a near total monopoly of power. Not content with this, the party then engaged in political maneuvering to infiltrate and weaken its political rivals, notably the FNL. In July 2010 the CNDD-FDD offered some FNL leaders government positions if they agreed to choose a different leadership for their party and re-joined the political process. A few supported this option but most opposed it. In August 2010 a handful of FNL leaders held an “extraordinary congress” and voted out the FNL leadership, in violation of party rules. The government, through the minister of the interior, officially recognized this new leadership a few days later. “Ousted” FNL president Agathon Rwasa suggested the possibility of a return to violence in the absence of a resolution to this stalemate. On June 15, 2010, the police surrounded Rwasa’s house. Although they did not attempt to arrest him, a week later, he chose to go into hiding and later fled the country. A number of other opposition party leaders also went into exile. As Rwasa left the country, there were reports of FNL elements returning to their strongholds along the Congolese border and taking up arms again. By the second half of 2010 the security situation in Burundi was deteriorating, particularly in the provinces along the border with the DRC and those regarded as FNL fiefdoms. State security forces started to target former FNL combatants. 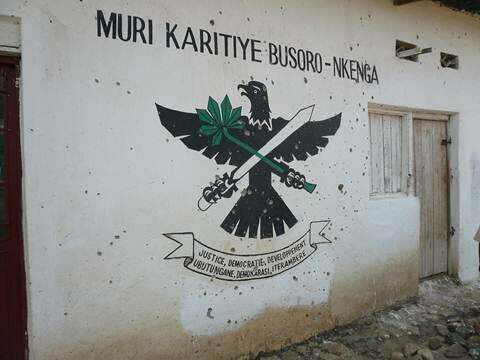 In September and October 2010, mutilated bodies were found in the Rukoko forest and in the Rusizi river; some of the victims were identified as former FNL members who had integrated into the national security forces and had subsequently deserted. It is against this backdrop that political killings escalated sharply from the end of 2010. Incidents of political violence in late 2010 and throughout 2011 have followed several distinct patterns. Three main categories of killings have emerged: killings in which members of opposition groups have been targeted (notably the FNL); killings in which members of the ruling CNDD-FDD have been targeted; and larger-scale attacks by armed gunmen in which the majority of victims had no known political affiliation. Attacks in the first two categories were often reciprocal: killings of members of one party have been swiftly followed by killings of members of the opposing party in a cycle of reprisal and revenge. The majority of incidents documented by Human Rights Watch occurred in Bujumbura Mairie and Bujumbura Rural provinces. Both are considered political strongholds of the FNL, making them especially prone to attacks. There was also heightened tension in these areas between the population and the youth wing of the CNDD-FDD, the Imbonerakure (see below). Human Rights Watch documented several killings in the second half of 2011 in other areas, including in the provinces of Gitega and Kayanza. In some cases, it was difficult to confirm the location where the victims had been killed, as their bodies were found far away from where they were last seen or where they were abducted. While the violence in Burundi was unrelenting from late 2010 to late 2011, Human Rights Watch found that attacks on members of the opposition intensified between July and October 2011. The increase in the number of murders of FNL members or former members during this period was striking, with killings sometimes reported on a weekly or even daily basis. Moreover, many of the individuals associated with the FNL who were killed during this period were higher-ranking FNL members, including former political representatives and commanders. One of the most notorious cases was that of Edouard Ruvayanga, a former FNL commander who had joined the national police, then deserted. Once close to Agathon Rwasa, he reportedly continued to play a leading role in the armed opposition and was widely believed by those interviewed by Human Rights Watch to be behind many killings in Bujumbura Rural in 2011. Ruvayanga was killed in September 2011. In contrast, most of those killed in previous months had been lower-ranking FNL members or former members. Similarly, most of the CNDD-FDD members who were killed were low-level local officials. The manner in which political killings, especially those committed by state agents, were carried out in 2011 − for example multiple shots or stabbings, mutilation and disfigurement − became increasingly brutal, demonstrating a desire for vengeance. Indeed, Burundians often used the term “hatred” to describe these acts. The gratuitously violent nature of these killings appeared to be a deliberate tactic designed to spread fear. Several cases covered in more detail in other sections of this report offer a graphic illustration. For example Dédith Niyirera, an FNL representative in Kayanza province, was shot between 30 and 50 times at close range. Oscar Nibitanga, a former FNL combatant who had refused to collaborate with the intelligence services, was shot multiple times in the head; a witness who saw his dead body described it as one whose “face had been destroyed.” Léandre Bukuru, a member of the MSD, was decapitated and his head found in a separate location from his body. Finally, throughout 2011 Human Rights Watch noted a troubling pattern in which former FNL combatants who had demobilized, either through official channels or acting on their own will, were subjected to intense pressure to join the Imbonerakure or the intelligence services (Service national de renseignement, SNR). Those who refused were threatened with death; several who tried to resist the pressure paid with their lives. Many more were forced to go into hiding. After [she] was killed, they called me on the phone to say that if they catch me, they will kill me. They called me the same evening, at about 9 p.m. They said “even if you've escaped, we will catch you. Come and bury [her]. I've just killed her” and hung up. I didn't know she had died. They told me themselves they had killed her. Later that evening, Arthémon Manirakiza, a neighbor of Jeanine Ndayishimiye and a former member of the FNL youth wing, was also murdered. Armed men in military uniform went to his house and assembled the family outside. They asked Manirakiza’s family “what do you know about the killing which just occurred?” His relatives said they did not know anything as they had been at home. The men said “you are hiding those who killed that person.” They accused Manirakiza of being a combatant and demanded to see him, claiming that they were going to make him show them “where the killers went” (alluding to the killing of Ndayishimiye). They forced Manirakiza out of the house and led him away with his arms behind his back. Neighbors told family members that they heard him screaming that he had nothing to do with the earlier killing and that he had been at home all night. Shortly afterwards, many shots were fired. Manirakiza’s body was found the next day. The use of youth groups has long been a feature of the operation of political parties in Burundi. In late 2008 the CNDD-FDD mobilized youth throughout the country into quasi-military groups in order to demonstrate their strength. These groups came to be known as the Imbonerakure (translated from Kirundi as “those who see far into the distance”). The CNDD-FDD used the Imbonerakure from 2009 into the electoral period of 2010 to intimidate and harass the political opposition, often engaging in open street fights with other parties’ youth wings, notably the FNL’s Ivyumavyindenge (roughtly translated from Kirundi as “those built as strong as airplanes”, formerly the Hutu Patriotic Youth (Jeunesse Patriotique Hutu, JPH). The reliance on youth to intimidate and attack perceived opponents at local levels is still visible in the political violence in Burundi today. The Imbonerakure often operate at the local level. It is not always clear whether senior government or party officials have planned or ordered the actions of individual members. However, their overall patterns of behavior, illustrated in this report, demonstrate a striking confidence in targeting perceived opponents of the ruling party, and they have consistently been shielded from justice. At the local levels, members of the Imbonerakure and the intelligence services appeared to cooperate in intimidation and attacks, which may indicate state involvement and interest in backing their actions. In 2011, members of the Imbonerakure frequently harassed and threatened former FNL members, sometimes jointly with members of the state intelligence services, and carried out attacks. Some of the Imbonerakure carried firearms. Many former or current FNL members told Human Rights Watch researchers that the majority of threats they received came from members of the Imbonerakure, sometimes from individuals they knew personally. The Imbonerakure had been given arms and were looking for “people who create insecurity” [which really means] people who are not from their party. In reality, they were just harassing ex-FNL members, taking money from them or even killing them. They do nocturnal patrols from about 6 p.m. We have seen them with arms. We know them as they live around here. There are more than ten of them here [...] The Imbonerakure say “all those who fought for the FNL will have problems.” They say this to people face to face. Audace Vianney Habonarugira, a demobilized FNL commander, was killed in July 2011. A near-fatal shooting in March 2011 and a series of threats against him by members of the intelligence services and security forces indicate that state agents may have been responsible for his death. While many FNL and former FNL members had been killed in the preceding months, Habonarugira was the first of several higher-ranking former FNL commanders killed between July and October 2011, signaling a renewed determination by security forces to further weaken the movement and frighten any remaining sympathizers into joining the ruling party. Habonarugira was 28 years old, married and had a two-year-old child. He had joined the FNL in the 1990s, when he was still a boy. He eventually reached the rank of colonel, before deciding to leave the movement in June 2009. He then went through the official demobilization process, retrained as a driver and mechanic, found work and resumed civilian life. However, like so many other demobilized FNL members, he was never able to shed his affiliation with his former movement. From January 2011 until his death six months later, he was repeatedly threatened and hunted down by the police and intelligence services. One week before his death, Habonarugira, in an interview with Human Rights Watch, described the sequence of events in the weeks preceding his near-fatal shooting in March 2011, and the subsequent threats which would ultimately lead to his death. Habonarugira told Human Rights Watch that Cyrille Nahimana − variously described as a policeman and an intelligence agent− began threatening him in January 2011, and that he first met Nahimana − whom he simply called “Cyrille” − on January 22, following the arrest of another demobilized FNL commander in Kamenge, the neighborhood of Bujumbura where Habonarugira lived. Three days later, according to Habonarugira, Nahimana sent an intermediary to see him at home. The intermediary told him that as a former FNL colonel, Habonarugira should immediately report to the intelligence services. Habonarugira did not do so. In mid-February, Habonarugira saw Nahimana again. This time, Nahimana introduced himself as a friend of three senior police and intelligence officers (whom he named) and tried to entice Habonarugira to join them by promising him work. He offered to pay Habonarugira if he gave him the names of other FNL leaders. Habonarugira refused. On February 27, according to Habonarugira’s account, Nahimana called him and asked where he was at that moment. Suspecting a trap, Habonarugira gave a false address and sent a friend to meet him instead. When the friend arrived at the appointed place, he found a truck belonging to the intelligence services with five policemen, together with a former FNL member who had joined the intelligence services. They started beating and kicking the friend, until he told them that he was not Habonarugira. They then let him go. Habonarugira said his friend’s arm was swollen from the beatings. Nahimana himself was not in the vehicle, but was nearby, and intervened to tell the policemen they had the wrong person. The friend told Habonarugira that he believed they would have killed Habonarugira had he gone there himself. In the early morning, when I went to wash outside, I saw some people coming. They grabbed me by both arms. It was Cyrille [Nahimana] and three others I didn’t recognize. Cyrille brought out a gun which he loaded in front of me. He said: “We offered you work, but you refused. Now we have been given the task of taking your corpse to our bosses. We will not take you there alive. We will take you there dead.” They took me away, on foot. When we were about 100 metres from my house, Cyrille said: “I am going to kill you and they will even forget your name in this country.” He gave orders to a policeman who shot me in the leg. Then the same policeman shot three bullets at me, on each side, here [at the level of the hip] and in the stomach. One bullet went right through. I fell and lost consciousness. Habonarugira was gravely injured. He was initially in a coma and was hospitalized in Bujumbura for three and a half months. For the first month, until April 19, he was under police guard at the hospital. He said that individuals whom he believed were intelligence agents came to the hospital and gave instructions to his police guard and to the hospital staff to let them know if he left. One witness stated that Nahimana himself was seen outside the hospital several times, but did not enter the hospital. On the day Habonarugira was shot, the police arrested his wife and several neighbors and accused them of collaborating with Habonarugira, whom they described as a criminal. They were released four days later, without charge. Habonarugira was discharged from hospital on June 27. From then on, he was hunted from province to province, first in Rumonge (about 80 kilometers from Bujumbura), then in Gitega (about 110 kilometers from Bujumbura); in both locations, he had gone to stay with family members. Habonarugira recounted how in Rumonge, a local government official came to his relatives’ house to check if he was there, asking for him by name. Habonarugira pretended that it was not him, and the official, who did not recognize him, left. Neighbors told Habonarugira that they had seen vehicles belonging to the intelligence services at the local official’s house. Habonarugira fled to Gitega province. He arrived there at around 10 a.m. By 8 p.m. the same day, the police and military had already come looking for him. Not recognizing him, a soldier asked Habonarugira whether he knew “Habonarugira Audace Vianney, an FNL colonel” because they wanted to know what he was doing there and how he got out of hospital. Habonarugira left immediately and returned to Bujumbura, where he went into hiding. Six days later, on July 15, his dead body was found, alongside that of another man, at Gasamanzuki, in Isare commune, Bujumbura Rural province. The second victim was Claude Kwizera, believed to be a demobilized FNL combatant and a close friend of Habonarugira. Both men had gunshot wounds. The previous evening, local residents in the area where the bodies were found had seen a truck arrive from the direction of Bujumbura, from which several men got out and climbed a hill nearby. They reported that several of these men were armed, and that some were wearing police or military uniforms. The residents later heard a commotion and gun shots. Local people found the two bodies the next morning. The circumstances in which the two men were killed are not clear. According to sources close to Habonarugira, on July 14, at around 3 p.m. he received a phone-call from a friend asking him to go to Bujumbura to collect some money he was owed. He was afraid, but went anyway. At about 6 p.m. he called his family to inform them that the person who called earlier was an imposter, not his creditor. Sources told Human Rights Watch that in the course of that telephone conversation with Habonarugira, they heard a voice in the background saying “take the phone!” and the call was cut off. That was the last his family heard of him. His relatives tried to call him back throughout the night but his phone had been switched off. Habonarugira’s case illustrates the intense pressure exerted on former FNL members to cooperate with the intelligence services. They have been asked to identify and denounce their former comrades, and they risk being killed if they refuse. It also demonstrates the failure of the demobilization process: former FNL members are forever tainted by their past associations and are not allowed to resume a normal civilian life, even after they have resolved to give up armed activities. The day before he was shot in March 2011, Habonarugira had confided to people close to him that he was afraid of what would happen to him because he had refused to identify former FNL combatants for the intelligence services. He said he was not interested in cooperating with the intelligence services because he was tired of war, and that even if he had accepted, the FNL would probably have killed him for betraying them. On July 20, the prosecutor of Bujumbura Mairie told Human Rights Watch that he had set up a commission of inquiry to investigate Habonarugira’s case and four others. The commission, which was set up before Habonarugira was killed, initially focused on the incident in which Nahimana had shot Habonarugira in March. Habonarugira testified to the commission a few days before his death. According to official investigations, Nahimana admitted shooting Habonarugira in March, but claimed it was in legitimate self-defense, as Habonarugira had allegedly resisted a police search of his house. The police claimed that they found grenades, cartridges, and military clothing in his house. The prosecutor general confirmed that a casefile on the shooting in March had been opened and that Nahimana was accused of the attempted murder of Habonarugira, but that he had not been arrested; he claimed that the murder suspects had not yet been identified. At the time of writing the investigations into Habonarugira’s death had not progressed and Nahimana had still not been arrested. Dédith Niyirera, a former FNL representative, was killed in Kayanza on August 27, 2011. In the period leading up to his death, SNR agents had repeatedly warned him that if he did not join the CNDD-FDD, he would be killed. Niyirera was a former member of the CNDD-FDD and had fought for them as a teenager, when they were still a rebel group. After joining their political wing, he held an administrative post in his home village of Butaganzwa. Niyirera left the CNDD-FDD in 2007 to join the FNL. While his reasons for switching allegiance were unclear, he explained to a family member that he was happy he had left the CNDD-FDD because they “killed many people”. After joining the FNL he was promoted to the position of executive secretary for Kayanza province. Niyirera was well educated and worked as a secondary school teacher. After leaving the CNDD-FDD, he was harassed and threatened. He was upset by the CNDD-FDD victory in the 2010 elections and informed sources told Human Rights Watch that he used to say he felt that the elections had been stolen from the FNL. In October 2010 Niyirera was arrested by the SNR in Kayanza. The arresting officer told him that it was “because of the insecurity. You work for armed groups and you are training with rebels”. He was transferred to Bujumbura and spent at least two weeks in SNR custody. He was never brought before a court. Instead, SNR agents accused him of being part of a rebellion and tried to convince him to re-join the CNDD-FDD and to renounce the FNL. They told him, “We are not going to hurt you because we are going to free you. You will join the CNDD-FDD. You are smart. You went to university. You will return to Kayanza and convince others to quit the FNL.” Niyirera refused to collaborate with the SNR but was released. He returned to Kayanza and the threats against him increased. In mid-2011 there were rumors in Kayanza of a list circulating with the names of FNL members who were to be killed. Shortly before Niyirera’s death, the governor of Kayanza, a former friend and member of the CNDD-FDD, told him, “You go back to the CNDD-FDD. You are smart. We will give you money and things. You need to join us.” Niyirera replied: “I know there is a list of 10 people to be killed and I am at the top.” In the weeks before his death Niyirera received threatening phone calls. The night before he was killed, an anonymous caller told him on the phone, “if you do not leave, you will see what will happen.” The same night, he told a friend how the head of the SNR in Kayanza had told him “you will not have peace while you are living.” By August 2011 he barely left his house and told his family that he was sure he would be killed soon. On the afternoon of August 27, Niyirera left his home to go to town. At around 7 p.m. he returned home alone. Approximately 300 meters from his house, he was ambushed by gunmen who were waiting for him. His wife and two children were at home and heard the shots. His neighbors who were aware of the threats Niyirera had faced said they guessed the shots were intended to kill him. As someone close to the family said: “When I heard the shooting at 7 p.m. I instantly knew it was him”. A family friend who saw the corpse the next day told Human Rights Watch that Niyirera had been shot more than 30 times. The prosecutor of Kayanza told Human Rights Watch that judicial officials had tried to investigate Niyirera’s death but had been unable to open a casefile by January 2012 because of lack of witness testimony. He claimed that there were no witnesses because the incident had occurred at night. He said judicial officials had met FNL members, as well as local residents, about the case but they had not provided any information. Like the killing of Audace Vianney Habonarugira, the assassination of Médard Ndayishimiye demonstrates a pattern of state agents hunting FNL members across the country. It also highlights the targeting of leaders and “intellectuals” within the party. Ndayishimiye was 27 when he was killed. He became an active member of the FNL when he was still a student. In 2009 he became the head of the FNL in his home commune of Ndava in Mwaro province. During the 2010 elections he was very active in the party and caught the attention of local CNDD-FDD officials. Ndayishimiye had also had arguments with a demobilized CNDD-FDD member from Ndava, Bernard Bigingo. Since his demobilization, Bigingo was reported to work at the CNDD-FDD headquarters in Bujumbura and was believed to collaborate with the SNR. A former local government official told Human Rights Watch that he had been informed that Bigingo was openly preparing to go into the countryside to hunt down FNL members and would say “we are going to finish with these people from the FNL.” Bigingo is reported to have used members of the Imbonerakure to track former FNL members and to keep him abreast of their movements. On July 6, 2011, the same commissioner again sent the local police officers from Kibimba and Nyamulenge to Ndayishimiye’s home with a group of policemen in order to search the house for guns. They came to arrest Ndayishimiye, but he was away in Gitega at the time. On the night of August 3, 2011, soldiers from Mwaro based near the Mpanuka parish came to Ndayishimiye’s home at around 2 a.m. They knocked on the door shouting “open and come out! If not, you may die.” A family member opened the door. They asked him “where is Médard?” Despite being told that he was away visiting a friend, the soldiers went into the house looking for him. After this latest attempt to find him, Ndayishimiye decided to flee Mwaro. He moved to Gitega and found work as an electrician at a local hotel. On October 6, 2011, Ndayishimiye was returning home from work on a bicycle taxi, as he did every day. On the outskirts of the town of Gitega, near the airstrip, a jeep with tinted windows pulled up quickly in front of the bicycle. Unidentified men exited the vehicle and beat both Ndayishimiye and the bicycle driver, then forced Ndayishimiye into the back of the jeep. His friends and family tried to find out where he had been taken but were afraid to go to the police as they felt the police may have been involved in his abduction. The next day Ndayishimiye’s body was found in Rutana province, about 120 kilometers from Gitega. Marks on his body indicated that he may have been tortured. He had several knife cuts on his chest and throat, and he had been stabbed repeatedly in or near his heart. People who saw the corpse noted rope marks around his neck. Oscar Nibitanga was found dead on August 16, 2011 in Mutimbuzi commune in Bujumbura Rural. He was a teenager when he joined the FNL, shortly before the FNL was due to sign the 2009 peace accords. Some of his close friends believed that like many others, he joined in order to obtain a position in the national army. Nibitanga was indeed integrated into the army after the ceasefire, but he was not satisfied with his rank. As someone with a secondary school diploma, he believed the position offered to him was not sufficient. He decided to leave the army and returned to study at a local university in Bujumbura. As part of the admission process, Nibitanga was required to produce documentation from the state that he was in good standing with the government. He received this attestation in August 2010. In June 2011 Nibitanga was arrested in Bubanza and detained for one month. He was released without trial. According to local press accounts, he was initially detained by SNR agents on the basis that he had been distributing arms to criminals. This charge was later changed to participation in the assassination of a police officer. He returned to Bujumbura to continue his studies. Shortly after his release, a former FNL combatant known as Jimmy started pressurizing him to join CNDD-FDD. Jimmy had been in the FNL with Nibitanga and had since joined the SNR. He had passed by Nibitanga’s home in Bubanza and told one of Nibitanga's relatives: “Advise him, there are investigations that we are doing. There is information we have. If he comes himself, there will be no problem, but if he does not, there will be problems.” Jimmy was more straightforward with Nibitanga himself. In the summer of 2011, he took Nibitanga and a friend out for drinks and told him directly, “If you do not join the SNR, we will kill you.” Nibitanga accepted to join them, but only to get out of the conversation. He later told a confidant that he could not accept to identify former FNL members in Bubanza because they were his friends. Just before Nibitanga's death, Jimmy was calling him up to four times a day. Local authorities initially refused to allow the family to exhume the remains. However, eventually, the family was allowed to exhume and rebury the body in a proper cemetery. Nibitanga’s father died soon afterwards, in September. Relatives told Human Rights Watch that he was so consumed with grief over his son’s death that he refused to eat. At the time of writing, there has been no official inquiry into Nibitanga’s murder. Human Rights Watch spoke with judicial authorities on three occasions to inquire about progress on this case but the authorities could not find his casefile, despite the high-profile nature of this killing and coverage in the national media. Human Rights Watch has collected firsthand statements on scores of other cases of killings of current and former FNL members by forces aligned with the CNDD-FDD. The cases are too numerous to list in this report. Among them are those summarized below, all of which Human Rights Watch has researched in detail. Pasteur Mpaganje, nicknamed Giswi, was killed at his home in Ruziba, Bujumbura in late February 2011. Mpaganje, a 39-year-old father of five, was known as an FNL member in his local community. He had attended FNL meetings in Kanyosha around the time of the 2010 elections. People in his area believed to be sympathizers of the CNDD-FDD used to point at him and mock him for being an FNL member, but he did not take these threats seriously. On the evening of his death, neighbors saw members of the Imbonerakure following him home. Several shots were fired. It is not clear whether he was shot inside or outside the house. His body was found in the front room of his house, propped up against the wall. According to prosecuting officials in September 2011, a casefile had been opened, but no arrests had been made. Wilson Ndayishimiye was the four-year-old son of two FNL members. He was shot dead while sleeping at his house in Ruziba, Bujumbura, on May 17, 2011. Wilson’s father, a demobilized FNL combatant, had previously been asked to join the Imbonerakure on their nightly patrols but had refused. In the days leading up to May 17, Imbonerakure, some of whom were armed, were seen patrolling the neighborhood. In the evening, after the family had gone to bed, gunmen shot through the air vents above the door and windows of the house, hitting the side of Wilson’s body. His two older brothers were sleeping next to him, but neither of them was injured. The family suspects that the boy’s father may have been the real target since he had refused to join the Imbonerakure. The house had been attacked at least once before, around January 2011; gunmen had shot at the house but no one had been injured on that occasion. The case of former FNL commander Audace Vianney Habonarugira (described above), who was killed just a few days after being coaxed out of hiding, was cited by other former FNL members as an example of why they could no longer trust anybody. When asked if he could go to the police for protection, one former FNL combatant in hiding told Human Rights Watch to “look at what they did to Audace Vianney [Habonarugira]. He went to the police first and then he was killed.” Another former FNL member in hiding was approached by a man who pretended to be at risk and befriended him. The former FNL member realized he was being tricked when the man tried to lure him out of his hiding place and to persuade him to go and talk to the intelligence services. Some people have gone into hiding to evade specific individuals. A former FNL combatant who agreed to speak to Human Rights Watch was in hiding in Bujumbura in an attempt to avoid two individuals known as Numéro and Kazungu, believed to be working for the SNR. Both men have been linked to killings of people associated with the opposition. This former combatant had been pressured by the Imbonerakure to join their group before the 2010 elections and threatened with death if he refused. Later in 2010 he was arrested and threatened with death again if he did not join the Imbonerakure. In late 2011 he told Human Rights Watch, “They are not looking for me to join the SNR or the Imbonerakure anymore. They want me to die.” When Human Rights Watch was last in contact with him, he had moved to a neighborhood where he was not known and had spent many nights sleeping in the hills outside of Bujumbura. The police set up check points in his new neighborhood and were asking people if they knew him. As he was living under a false name, he managed to evade capture. The CNIDH showed significant courage in sheltering five former FNL members and combatants in its office from the end of August 2011. While this helped give public exposure to the insecurity facing people associated with the FNL, it created a dilemma in that these men were effectively stuck at the CNIDH for several months. State institutions, including the police and the SNR, sent senior representatives to try to coax them out of the office, to no avail: these five individuals rejected the authorities’ assurances of safety and refused to leave the CNIDH, believing that leaving would mean certain death. Eventually, one of them left in late December 2011. By early February 2012, the other four had also left after the CNIDH told them they could not stay there indefinitely. Not all those in hiding are former combatants. In late November and early December 2011 seven supposed members of the FNL were arrested by the police in Karuzi. A local resident who spoke to Human Rights Watch was at home on the morning of December 2 when he received a phone call from friends informing him the police were looking for him. He had heard the news of the seven arrests on the radio, and as a former FNL member himself, he felt he was in danger. Rather than wait for the police to arrest him he fled to the bush and spent two days in hiding. His friends told him that the police were waiting for him at his home. The police told one of his relatives: “If you do not tell us where he is, we will put you in prison.” After two days in the bush, he walked to the next town, then travelled to Bujumbura where he remained until mid-February 2012; he then fled the country. Some former FNL members are caught between two worlds, one in which they are hiding from forces aligned with the CNDD-FDD and another in which they are trying to live a normal life as productive members of society. Human Rights Watch met a former FNL member who had served for 15 months as a senior provincial government official. Despite his former high-ranking position and the fact that he had quit politics, he continued to be hunted by SNR agents. From October 2011 he started to notice he was routinely followed by individuals in government cars on his way to and from work. Friends told him that high ranking members of the SNR would speak about his death openly. In October 2011 friends heard one high ranking SNR member say, “We are going to follow him and we will abduct him when he is alone”. This former FNL member eventually went into hiding. Going into hiding is an emergency measure for those who believe they are at risk, but it provides no guarantee of security and is not sustainable in the long term. Almost all the people in hiding who spoke to Human Rights Watch had one simple aim: to leave the country. For them, the extent of persecution by state agents has made it impossible to peacefully reintegrate into society. Police and SNR agents often stopped by the homes of their families and tried to persuade their relatives to coax them out of hiding. However, no amount of reassurance or persuasion by these agents would convince them to return home. They felt unable to turn to the police for protection in view of the involvement of the police in political killings and other human rights abuses, and the close relationship between the police and the SNR. A former FNL combatant described to Human Rights Watch how he was walking along the road when he was suddenly chased by Imbonerakure. Another described how he was chased through a neighborhood and shot at by members of the SNR. While the majority of victims of political killings attributed to state agents or ruling party members were current or former FNL members, members of other political parties have also been targeted, sometimes along similar patterns. 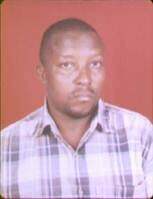 On December 2, 2010, Jean-Bosco Bugingo, a chef de zone (local official) and a member of the FRODEBU party in Kiyenzi, commune Kanyosha, Bujumbura Rural, was killed by armed men at his home in Ruziba, Bujumbura Mairie. He was 31 years old and had three young children. Shortly after Bugingo became a local official for FRODEBU in 2005, he began receiving threats from CNDD-FDD members telling him to leave his party. According to a person close to Bugingo, a local CNDD-FDD member would insult and spit at Bugingo, saying “you're not one of us. You don't belong to us.” In 2008 Bugingo moved house following anonymous telephone threats and when he noticed that unknown individuals would show up outside his house. But moving to another house offered him no protection from those who seemed determined to kill him. On the night of December 2, 2010, Bugingo stepped out of his house to investigate the presence of intruders in his compound. Witnesses reported hearing several shots and Bugingo screaming. He was injured on the neck and the side, and died before he could be taken to hospital. Another individual, identified simply by his first name Egide, was also found dead in Bugingo’s compound. Local residents described Egide as a member of the Imbonerakure and the circumstances surrounding his death remain unclear. We are writing to you to tell you one last time what we have told you several times before, that you have to change your political party FRODEBU of Léonce [Ngendakumana, the president of FRODEBU] to come and join the CNDD-FDD party. You refused, and we gave you five years, and now, these five years have ended without you changing your political party. We waited several times for you to change, but you refused. So what do you think?? This year will not end with you still being chef de zone of Kiyenzi. There are others who need to be chiefs of this zone, your home and your family will lose out, but there is no shortage of leaders in this country. A word to the wise is enough. This letter is the very last and this year will not end without something happening [to you], or else to your family. It is not good to tell you who we are. Cheikh Congera Hamza was a respected member of the Muslim community in Bujumbura and member of the opposition party Union for Peace and Development (Union pour la paix et le développement, UPD). He was shot dead in the early hours of December 9, 2010 on his way to the mosque in the Buyenzi neighborhood of Bujumbura. Hamza had been pressured to join the CNDD-FDD since the 2005 elections. Unlike many other religious leaders who opted to join the CNDD-FDD, he always refused, maintaining that religion was the paramount calling in his life. These political divisions had reportedly created tensions within the Muslim leadership. Hamza was carrying cash, a watch, and a phone when he was killed. None of these items were taken. Local residents reportedly overheard Hamza talking with the gunman shortly before he was killed; they were apparently arguing about the political content of Hamza's religious sermons. Two people were arrested in connection with the shooting of Hamza. Two separate sources close to the case told Human Rights Watch confidentially that they did not believe that there was strong evidence linking those arrested to Hamza’s death, and that these arrests may have been intended to distract attention from a more likely political motive. One of them confided that police investigations into the murder had been blocked. Léandre Bukuru, a businessman and member of the MSD, was taken from his home in the town of Gitega, on the morning of November 13, 2011 by men in police uniforms, driving what was believed to be a police vehicle. The police entered the house without knocking and led him away without explanation. Bukuru’s family and friends made inquiries as to his whereabouts for the next 24 hours, in vain. The next day his headless body was found in Giheta, a small town 15 kilometers from Gitega. His family tried to reclaim the body from the morgue. Although it had been identified, local authorities informed his relatives that the body had already been buried. They sought redress with the governor of Gitega to obtain custody of the body, but were only allowed to submit a letter requesting the corpse. Two days later Bukuru’s head was found in a latrine on Nyambeho colline in Gitega province. The following day, after a radio station broadcast information about the killing, provincial prosecuting authorities questioned his family about who had been providing information to the media. Provincial authorities led the family to believe that they would be allowed to bury the complete corpse according to their wishes. However, the provincial prosecutor later made clear that they would only be given Bukuru’s head and that they would not be allowed to exhume the body. Provincial authorities buried both the head and the body of Bukuru against the family’s wishes. The CNIDH released a statement deploring the case, raising concern that “similar cases of abductions… often end with execution and hasty burial,” and called on the government to ensure prompt and efficient investigations into such cases. In January 2012 the prosecutor of Gitega told Human Rights Watch that there was a casefile on Bukuru’s murder, but he was unable to provide up-to-date information on its progress: he said that as senior officers had been cited, the case had been referred to prosecuting authorities at a higher level. While the majority of political killings in 2011 targeted members of the opposition, there have been several instances in which individuals aligned with the ruling CNDD-FDD have been killed or threatened. Information provided by family members and witnesses of these killings broadly points to the FNL, or FNL sympathizers, as the likely culprits in these murders. While judicial officials have tended to open files for these cases more readily than for cases of suspected FNL victims, serious inefficiencies and a lack of capacity in the judicial system mean that many months can pass before the suspected perpetrators are brought to justice, if at all. Suspects who are arrested frequently spend long periods in pretrial detention. 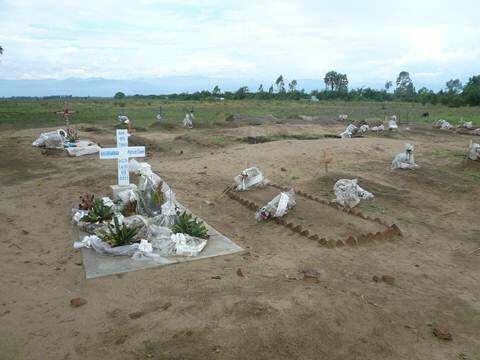 Pascal Ngendakumana and Albert Ntiranyibagira, two low-level CNDD-FDD representatives in Bujumbura Rural, were assassinated on April 6, 2011 at a local bar in Isare commune. Ngendakumana had left the FNL to join the CNDD-FDD during the 2010 elections and had been elected zone party representative during that period. He had persuaded his friend and neighbor, Ntiranyibagira, to join the CNDD-FDD. Ntiranyibagira was subsequently elected conseiller collinaire, one of a group of five who advise the local official known as the chef de colline. From the end of 2010 Ngendakumana started hearing rumors that his life was in danger. Friends who were still close to the FNL informed him that “the FNL was coming for him.” He was forced to leave his home for a short time in late 2010 because of persistent threats. Upon returning he decided to sleep in the forest near his home and took his family there every night, for a period of about three months. During this time his friends in the FNL continued to tell him that they had information that the FNL was going to kill him. One evening in late March 2011, while the family was asleep in the forest, their house was broken into and ransacked. 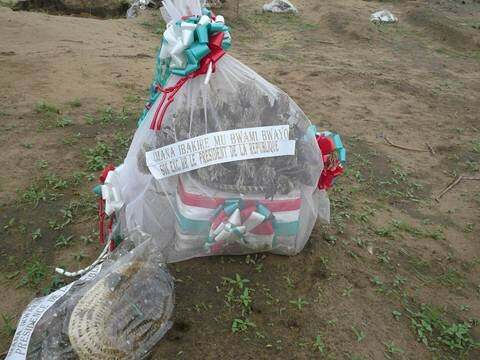 Everything of value was stolen and party symbols of the CNDD-FDD were destroyed. 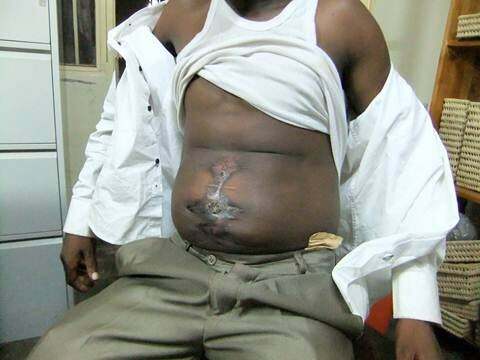 The same night a young CNDD-FDD member, Zabulon Nkeshimana, was attacked by a group of men. Ngendakumana and his family moved to a different area for their safety. However, they had to return each day to work on their land, a commute they soon realized was too tiring for their children. After only a week, they moved back to the forest near their home. Ntiranyibagira had also received sporadic threats after the 2010 elections. The threats intensified one week before he was killed. His friends warned him to be careful but he did not take these warnings seriously. On April 6, 2011, Ngendakumana and Ntiranyibagira were sharing a bottle of banana beer at a home that sometimes acted as a bar when they were joined by a third man identified by witnesses as Philbert, whom local residents described as an FNL member. Despite the fact that the men belonged to different political parties, such social exchange is not unusual in small communities. Indeed a family member stated that Ntiranyibagira and Philbert had often worked together building houses. According to a witness, the three men shared a second bottle of beer and carried on talking. During the conversation, Philbert got up several times to make phone calls outside. At one point a young girl, identified by members of the community as Philbert’s niece, joined the men. Philbert ordered a third bottle of beer, but while it was being served he ran out of the bar. As he was leaving, two unidentified gunmen entered and shot Ngendakumana, Ntiranyibagira and the young girl. All three died in the bar. Witnesses saw four men running from the area after the shooting but were not able to identify them to a local official. Military who were stationed nearby arrived on the same day, but the police, who were stationed further away, did not arrive until the following day. The police started an inquiry and briefly questioned key witnesses. One suspect, a former FNL combatant, was arrested on May 18 and is awaiting trial at the time of writing. The casefile against him − sections of which Human Rights Watch has consulted − is incomplete and lacks a basic narrative of the incident. According to the casefile, the man was implicated in the killing of Pascal Ngendakumana, but neither Albert Ntiranyibagira nor the young girl are mentioned in the casefile (local officials claimed the girl was an innocent victim caught in the crossfire). Also according to the casefile, the suspect was accused of involvement in the killing of an individual identified as Rubin (which may be another name for Ntiranyibagira) and of being a part of the group that attacked CNDD-FDD activist Zabulon Nkeshimana. Some of the gaps and inconsistencies in the casefile may be a result of insufficient investigations at the scene of the crime. According to witnesses who spoke to Human Rights Watch, the police inquiry was brief, and the victims’ families were not questioned in order to ascertain who the victims were or if they had received threats prior to the killings. Family members of Ngendakumana went to the police station three times in the week following his death to follow up on the case, but were never questioned by officials. A key witness was only questioned once in a brief session. While prosecuting officials frequently complain that it is difficult to persuade witnesses to speak (in this and other cases), Human Rights Watch researchers managed to collect multiple statements on this case from several sources, within a short period, and witnesses did not appear afraid to testify, even publicly. Unusually, in this case local officials admitted that the killings were caused by “the political climate” and that individuals aligned with the CNDD-FDD had had problems in Bujumbura Rural as “the province is closer to the FNL.” This is in contrast to the standard government line that the violence in Bujumbura Rural is driven by criminal rather than political elements (see section IX). Désiré Hakizimana, a 26-year-old fish trader who lived in Bujumbura town with his wife and two small children, was killed on December 14, 2010. He was a member of the CNDD-FDD. In early 2010 Hakizimana had an argument with a local FNL member (whom he knew) who accused him of working with the SNR. During the 2010 electoral campaign Hakizimana had attended political meetings and was known to be a sympathizer of the CNDD-FDD. Because he had often been seen at CNDD-FDD gatherings, presumed FNL sympathizers accused him of collaborating with the intelligence services and compiling a list of FNL supporters in his neighborhood. Hakizimana denied any involvement in compiling such lists. Around November 2010, Hakizimana and a friend were travelling on a motorbike when they were ambushed by the same local FNL member and four other men also believed to be FNL members. The men told Hakizimana, “We know you work with the CNDD-FDD and the SNR. If anything happens to us, you will be held responsible.” Hakizimana reported this incident to the police and communal authorities but no action was taken. On the evening of December 14 Hakizimana arrived home and found a group of eight men, most of them armed, waiting for him in his compound. The men forced him into the house. They looted the house and accused him of possessing a weapon, which he denied. They told him, “You are with the CNDD-FDD and you work with military intelligence.” Hakizimana denied this too. Again they asked for his gun. According to eye-witnesses, they shot at one of his relatives, but missed him and he escaped. They then stabbed Hakizimana in the stomach with a bayonet. When he started to scream, police at a nearby post fired shots in the air. The attackers quickly executed Hakizimana by shooting him three times in the chest and shoulder. The police came to the house within a few minutes of the attack and tried unsuccessfully to pursue the attackers. The next day they returned to the scene and carried out a preliminary investigation. The friends reported these threats to police and local authorities, but no action was taken, even though the police were informed of where the above-mentioned former FNL member lived. The police assured Hakizimana’s friends and family that they were still investigating his death, but more than one year later, there has been no progress. As in so many other cases, the victim’s friends and relatives fear further reprisals if they continue to demand justice for this death. They also stopped informing the police about threats as they no longer saw any use in doing so. There were several attacks on bars and other popular public places in different parts of Burundi in 2011. While the political motives behind some of these attacks remain obscure, they illustrate, at the very least, the state’s inability to stem the rising insecurity, enforce law and order, and ensure protection for the population. In many of these attacks, local residents complained of inadequate response by the police and local authorities, and the perpetrators were not apprehended. In one of the rare cases where prosecutions did take place − the Gatumba attack − there were serious irregularities in the legal proceedings, with several defendants, including some who were sentenced to life imprisonment, claiming they had been tortured. The trial, as well as the government response, both described below, may have raised more questions than they answered regarding the identity of the perpetrators and the circumstances surrounding the attack. The Gatumba attack, described in detail below, claimed the largest number of victims. However, it was not the only such case. For example, on the evening of May 21, 2011, armed gunmen, some wearing police or military uniforms, attacked a bar where around 20 people were watching a popular football match on television. The bar, located in Bisoro, an area of Bujumbura where there is significant public support for the FNL, was situated near the local CNDD-FDD office and the houses of several members of the ruling party. When the gunmen first attempted to enter the bar, they were spotted and people inside the bar closed the door to keep them out. The gunmen then forced their way in and opened fire, killing four people: two young students and two young men. At least three people were injured. The attackers told the survivors to stop shouting while they took their cell phones and money. More armed men were waiting outside. When the attackers left, they threw grenades at the nearby CNDD-FDD office, defacing the party logo on the outside wall. Witnesses reported that handwritten messages were found on the scene; the messages stated that the attackers were not bandits but rebels, called on the people of the neighborhood to make financial contributions to their group and threatened to force them to make these contributions if they refused to donate voluntarily. This would appear to indicate that the attackers belonged to an armed opposition group; however, their identity has not been confirmed. In common with other similar incidents, the attack on the bar in Bisoro seemed designed to destabilize the security situation and frighten local residents. According to local residents, the police arrived after the perpetrators had left. In 2004, Gatumba, about 15 kilometers northwest of Bujumbura, in Mutimbuzi commune, Bujumbura Rural, near the border with the DRC, witnessed a massacre of more than 150 Congolese refugees, by FNL combatants. The majority of these refugees were from the Banyamulenge ethnic group.According to local residents, since that time, this small commercial town had been quiet and had not experienced further violence, even during periods of tension in other parts of Bujumbura Rural in 2010 and 2011, until September 18, 2011 when gunmen attacked a crowded bar in the town, killing at least 37 people. In October 2011 Human Rights Watch researchers interviewed numerous survivors and witnesses of this attack, as well as local government officials and other residents of Gatumba. The account below is based primarily on this firsthand evidence. Many people died instantly; others tried to hide, but were pursued or pulled out from their hiding places and shot. A 19-year-old man, who had thrown himself on the ground when the shooting started, stood up and ran towards the showers to hide there. He heard someone say: “Shoot at that dog who’s running away!” The assailants fired at him but the bullets flew over his head and hit the shower door; he was unhurt. A number of people were saved by hiding in the toilets at the back of the bar, or by lying on the ground pretending to be dead. A few lucky ones managed to escape by running away from the bar as soon as the assailants opened fire outside. There were two of them [assailants]. There were about four meters between them and me and a table between us [...] I lifted my head above the table. They said: “come here!” [...] One of them held his gun opposite my head. I tried to stand up and asked: “what did you say?” I had hardly finished my sentence when they shot at my head. The bullet hit the fridge. I fell down. They thought I was dead. They started going out. I tried to stand up and they saw I wasn’t dead. They came back and shot again, but the bullet didn’t touch me. It went over my shoulder. It hit the woman in the chest and she died [....] The baby died too, but it wasn’t next to us. When the shooting first started, the woman was running with the baby, but the baby tripped on a step. The baby was killed after the mother. They grabbed the baby by both arms, took a knife and slit its throat, chest and stomach. I saw it [....] One was talking, the other was holding the gun [...] The one who was talking was giving the orders. After trying to shoot me, he said “we’ve finished” and they went to leave. The police and the army arrived after the perpetrators had fled. Together with local government officials, they helped transport the injured to hospital. The victims of the attack, listed in Annex I of this report, included more than 30 men, three or four women, a one-year-old child, and a baby. Those who died included the bar’s owner, Jean-Paul Kaboyi (who worked as a lorry driver and was the president of a local football team) who was shot three times, several people who worked at the bar, including a man called Majendra who used to sell meat, and a 20-year-old waiter called Lino. Kaboyi’s 21-year-old son, who was working as a cashier at the bar, was injured but survived. Several of the victims were believed to be Congolese. 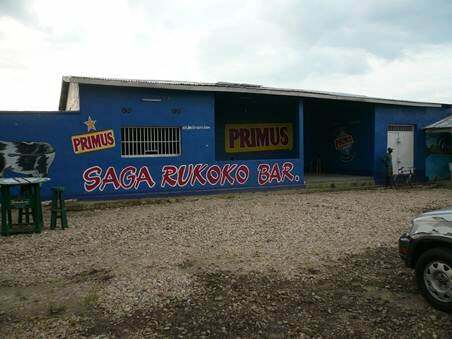 Given Gatumba’s proximity to the DRC, Congolese often come across the border and frequent the bars in Gatumba. Others were Burundians living in Congo who had come to visit their relatives. At least 26 people were injured, some of them severely. For example, Human Rights Watch spoke to an 18-year-old student who was shot in both legs and whose left leg had to be amputated below the knee, and a 48-year-old man who was shot outside the bar as he happened to be passing by. His arm was blown to pieces and had to be amputated. Several people are believed to have died from their injuries. Local residents gave contradictory statements about the political affiliation of the owner and customers of the bar. Most of those interviewed by Human Rights Watch, including relatives of the victims, stated that neither the victims nor the owner of the bar were known to be politically active or associated with any particular party; several affirmed that people from different parties and ethnic groups often drank together in the bar, in a good atmosphere, and that there were no tensions. A man who was injured in the attack told Human Rights Watch: “I don’t know what to say. We were there, with other customers, just having a good time. None of us are involved in politics.” However, some residents of Gatumba claimed that the bar owner, Jean-Paul Kaboyi, was a member of the CNDD-FDD and that the bar was known as a favorite haunt of CNDD-FDD members. Human Rights Watch did not receive any information about threats to Kaboyi or people close to him prior to the attack. As indicated above, witnesses gave Human Rights Watch detailed accounts of the sequence of events and the manner in which the attack was carried out. However, none of the people interviewed by Human Rights Watch were able to identify the perpetrators. Some believed the attack was carried out by the FNL; a few suspected a set-up by the security forces; many others said they simply did not know. Rumors and counter-rumors were rife. Human Rights Watch has continued to research the incident but is unable to confirm the identity of the perpetrators at the time of writing. Although 16 individuals were found guilty of involvement in the attack in a trial which concluded in January 2012, concerns raised during the trial cast doubt on the safety of these convictions (see below). Some Gatumba residents told Human Rights Watch that a rumor of an impending attack, meant to take place on September 17, had been circulating in Gatumba a few days before the September 18 incident. When it did not materialize, some of them let their guard down. However, the rumor persisted and some people discreetly warned friends to keep away from the bar. The attack left the residents of Gatumba in a state of shock, with some people saying that an attack on such a scale had not been witnessed since the days of the civil war. A man who had been seriously injured barely concealed his anger when talking to Human Rights Watch researchers: “It’s killing for the sake of killing,” he said. Others expressed resentment at the inability of the security forces to intervene, despite the proximity of a police station and a military camp, and their inaction in response to rumors of an attack in the preceding days. A 16-year-old boy who survived by pretending he was dead was visibly traumatized when he spoke to Human Rights Watch. When the shooting started, he lay down on the ground. Bodies of people who had been shot fell on top of him and he described “a hot liquid which I think was blood” dripping over him. He told Human Rights Watch, “I stayed lying on the ground under the bodies, until the end. I could hear people talking. I thought it was the attackers coming to finish me off [...] Then someone shook my arm. He asked me if I was injured. I said no. He said I was covered in blood [...] Then I ran away, as fast as I could, so fast I missed my house and ended up in a neighbor’s house [...] I felt like I had lost my mind. I was like someone who had died. When I got up, I saw bodies on the ground. I stepped over them and ran. People who saw me running thought I was crazy.” Other than minor cuts from broken glass, the boy was not physically injured, but he lost several friends in the attack. The bodies of the victims of the September 2011 attack have been buried next to the memorial for the victims of the 2004 massacre. The Burundian government responded to the attack at a high level and very publicly. It declared a three-day period of national mourning, and offered to cover the costs of the victims’ funerals and medical treatment for the injured. A large delegation, headed by President Nkurunziza and including several ministers, visited Gatumba the day after the attack. The president ordered the security forces to find the perpetrators of the attack within one month. The government also set up a commission of inquiry, composed of seven people, which was similarly given 30 days to complete its work. The commission submitted its report to the prosecutor general in October 2011. While the government’s professed resolve to investigate the incident was welcome, in practice the arbitrary deadlines it set may have proved counter-productive: the commission of inquiry did not have sufficient time to complete its work, and, as described below, the speed of legal proceedings may have contributed to an unfair trial. Surprisingly, by the end of October 2011 (when the commission had already completed its inquiry), almost none of the survivors and witnesses of the Gatumba attack interviewed by Human Rights Watch had been questioned or even contacted by the commission. Only one, a young man who was injured, said he had met members of the commission for about 15 minutes. Yet it would not have been difficult for the commission to locate survivors and eye-witnesses of the attack: the names of the injured had been recorded; it was known in which hospitals they were being treated; and Gatumba is a small town where most people know each other. In the days following the attack, the police questioned some residents, and arrested a few people. Most of those arrested were FNL or former FNL members; some were later released. By October 25, 20 people were detained, in four different prisons, in connection with the attack. They included two policemen − Ernest Ndayisenga and Jean de Dieu Nizigiyimana − and one military officer, Lieutenant François Niyonkuru. Ndayisenga was accused of not acting on information he received beforehand that an attack was being planned. The police also searched houses in the area, apparently looking for weapons. Police and military patrols were set up in Gatumba after the attack. Some residents expressed doubts about the impact of these patrols on reassuring the population, with some saying that they did not have confidence in these patrols to protect them and others finding the intensified security presence worrying. On September 20, the National Security Council − a consultative body responsible for assisting the president and the government on security strategies − recommended that the government prohibit the media from publishing, commenting on or analyzing information relating to the Gatumba killings, supposedly to allow investigations to proceed smoothly. The recommended prohibition would also apply to coverage of other cases under investigation. The government followed this recommendation, with the Minister of Communication relaying the prohibition to the media two days later. The ban was briefly defied by some journalists, but most radio stations and newspapers eventually complied. Once the commission of inquiry had completed its work, some media resumed broadcasts and the publication of articles about the Gatumba attack, including details of the alleged plot described below (some journalists having interviewed one of the main suspects in prison). In response, government and judicial authorities cracked down on journalists, with the editors-in-chief of Radio publique africaine (RPA) and Radio Bonesha − Bob Rugurika and Patrick Nduwimana − being summoned by the Bujumbura prosecutor on November 8 to answer questions about their programs on these events. On November 11, the National Security Council issued a statement, delivered by the Minister of Defense and Former Combatants, Pontien Gaciyubwenge, accusing certain members of the media and civil society of flagrantly violating the blackout and calling on the government to enact sanctions against them without delay. These events took place in the context of a broader pattern of intimidation and harassment of independent Burundian journalists investigating and reporting alleged human rights abuses. The blanket prohibition of coverage of the Gatumba attack seemed disproportionate and may have amounted to a violation of freedom of expression. While it may sometimes be appropriate to impose certain restrictions on reporting court proceedings, the government’s prohibition was much broader and largely undefined, preventing the publication, commentary or analysis of any information relating to the Gatumba killings. It was announced just days after the attack, before the commission of inquiry had even been established and before the trial had begun. Article 10 of Burundi’s press law states that journalists should refrain from publishing articles or broadcasting programs which might compromise national unity or public order and security, while article 11 lays out restrictions on divulging information linked to defense, state security and public security. It is not clear how journalists broadcasting factual reports of events at Gatumba would have been in breach of these laws. Once the immediate shock of the Gatumba attack had passed, the question of who should be held responsible for the killings became the object of intense speculation. Rumors and counter-rumors spread quickly, despite the government’s frantic attempts to quell them. The intelligence services were quick to blame the FNL. On September 27, 2011, just nine days after the attack − and before the commission of inquiry had even begun its investigations − a letter from the head of the SNR, marked “confidential,” was widely leaked. Addressed to President Nkurunziza and other senior government officials, as well as to the security and intelligence services of neighboring countries, the three-page letter gave the SNR’s account of the Gatumba attack and laid the blame squarely on FNL leader Agathon Rwasa. It also named several other individuals, describing them as a “terrorist group” based in eastern DRC. It claimed the attack was carried out by 17 individuals, 12 of whom came from the DRC and five from Gatumba itself. It stated that nine of them were arrested by the SNR and that several confessed to “carrying out the plan of Agathon Rwasa and his acolytes.” The letter blamed Rwasa and the ADC-Ikibiri coalition for the broader political violence in Burundi since the 2010 elections. In a paragraph apparently unrelated to the Gatumba attack, it accused an armed group allegedly linked to the opposition party MSD of planning attacks in Bururi province, in southern Burundi. The SNR’s letter was followed by a categorical denial by Agathon Rwasa, which was also widely circulated. Dated October 6, 2011, Rwasa’s letter not only rejected responsibility for the attack but claimed it had been ordered by “heavyweights” in the national police and intelligence services. It also divulged an alleged plan (described below) involving a certain Innocent Ngendakuriyo, alias Nzarabu, who, according to Rwasa, had been recruited by the intelligence services to hunt down FNL members. Nzarabu was among those arrested straight after the Gatumba attack, and was tried, alongside 20 others, for his alleged involvement in the killings. He was accused of crimes against humanity and aggravated theft. After journalists and human rights organizations interviewed him in prison in October 2011, his story − summarized below − began circulating widely. Human Rights Watch did not interview Nzarabu and cannot confirm the veracity of his account. However, it is included in this report as it is one of the dominant theories about the Gatumba attack and has been scrutinized closely by all those interested in the case. Once the trial began, Nzarabu told elements of this story in court. He claimed that he had been working with senior members of the police and the SNR to try to kill an FNL fighter by the name of Carmel, nicknamed Mukono (meaning “one arm” in Kiswahili). He stated that some of these officials had offered him money to try to trap Mukono and his men in Gatumba, but that the plan went wrong: Nzarabu allegedly enticed Mukono’s men to Gatumba, where the police and intelligence services were lying in wait for them. However, Mukono was not killed. Soon afterwards, according to Nzarabu, the SNR attacked the bar Chez les amis, allegedly in order to blame the FNL for a massacre. Mukono and his men fled as soon as they heard the shots. The link between the alleged plot to trap Mukono and the attack on the bar was not entirely clear in Nzarabu’s testimony. According to other sources, the police had fired a shot in the direction of Mukono’s group as they approached Gatumba. The group thought they were being attacked, so in turn attacked the bar Chez les amis where they believed the shots were coming from, and shot indiscriminately at all the people there. Proponents of this version argue that the intelligence and security forces were therefore responsible for some of the events that triggered the Gatumba killings, even though FNL or former FNL members may have executed the attack. In both versions, Mukono fled and escaped arrest. Human Rights Watch is unable to confirm these versions of events. Only one of the witnesses interviewed by Human Rights Watch researchers claimed to have seen a one-armed man, with the sleeve of his jacket folded, among the group which attacked the bar. Independent of these accounts, a number of sources have confirmed that senior intelligence and police officials were present in Gatumba on the day of the attack. When questioned by the commission of inquiry, some of them admitted being there on that day. They included Gervais Ndirakobuca, deputy director of the national police, and Désiré Uwamahoro, commander of the Mobile Rapid Intervention Group (Groupement mobile d’intervention rapide, GMIR). In court, Nzarabu and some of his co-defendants cited not only Ndirakobuca and Uwamahoro, but other senior figures, including the SNR official known as Kazungu, as allegedly involved in events preceding the attack. A resident of Gatumba told Human Rights Watch that Uwamahoro was at the scene soon after the attack and claimed to have talked to him there. The presence of these officials in Gatumba on September 2011 does not in itself constitute evidence of involvement in the attack, nor in the events that led up to it. On November 16, 2011, the trial of 21 people accused of involvement in the Gatumba attack opened in Bujumbura, but was adjourned to early December for legal and technical reasons − among other things, to allow defense lawyers access to the whole casefile and to consider a complaint by defense lawyers that some of the judges were from a lower court which was not competent to hear the case. The defendants were accused of crimes against humanity or complicity in crimes against humanity. Ten defendants were accused of carrying out the attack on the bar while 11 were accused of complicity in the attack. All pleaded not guilty. The trial ended on December 14 and the judgment was handed down on January 27, 2012. Seven of the defendants were found guilty of crimes against humanity and sentenced to life imprisonment; nine were found guilty of conspiracy to attack people and property, of whom seven were handed five-year prison sentences, and two three-year sentences; and five were acquitted. The names of the defendants and their sentences are listed in Annex II. One of those acquitted, Lieutenant François Niyonkuru, was re-arrested on the day of his expected release; he was reportedly accused of endangering state security. At the time of writing, the details of the new charges against him are not known. trial and the reliability of the judges’ conclusions. Lawyers for the accused complained that the trial was a sham, claiming bias on the part of the judges. The Bujumbura Bar Association issued a statement denouncing irregularities in the trial, complaining of a broader tendency on the part of some judges to restrict the rights of the defense and the interventions of defense lawyers. The European Union delegation in Burundi, in a more general statement on the independence of the justice system, noted procedural irregularities in the trial as well as the refusal to call as witnesses all the individuals mentioned during the hearings. Several defendants, including some of those sentenced to life imprisonment, stated that they had been manipulated by the SNR and the police, and claimed that these state actors were the real culprits. Foremost among these was Nzarabu. He and several of his co-defendants stated in court that they were tortured before the trial to force them to incriminate themselves or each other and to support the official version of the story which blamed the FNL for the massacre. Nzarabu claimed that the police and SNR tried to convince him to state that he was an FNL fighter who had decided to leave the bush because he no longer wanted to stay with the FNL as they were massacring civilians. After refusing to cooperate, he was accused of playing a central role in the Gatumba attack, charged and tried. He was among those sentenced to life imprisonment. After Nzarabu and other defendants claimed that several senior security officials were involved in the Gatumba attack, their defense lawyers asked the court to call these officials for questioning, but the judges turned down their request. According to trial observers, the prosecutor said that he had already interviewed these officials as part of the work of the commission of inquiry. The court judged that it was therefore not necessary to summon them again, even though the commission of inquiry was a completely separate process from the trial. Six defense lawyers interviewed by Human Rights Watch expressed great frustration with the fact that the court would not call these individuals to testify. One of them told Human Rights Watch that this was the first time he had been involved in a trial in which the court had rejected a lawyer’s request to call a witness. On the last day of the trial, the defense lawyers walked out in protest at the judges’ refusal to call these individuals to testify. By January 2012, even after the trial had concluded, the report of the commission of inquiry into the Gatumba attack had still not been published, despite assurances from the prosecutor general in October 2011 that it would be published “soon,” or as soon as the casefile had been opened. Lawyers and other individuals involved in the case were allowed to consult the report, but were refused permission to make copies or distribute it. Several defense lawyers complained that they were obliged to read the report in cramped conditions and under tight time constraints, which they described as abnormal and restrictive to preparing their defense. Suspected FNL and other armed combatants have also been implicated in violent crimes, particularly in provinces along the border with the DRC. Some, though not all, of these attacks have resulted in fatalities and injuries, though the main purpose often appeared to be looting. These armed groups, particularly those affiliated to the FNL, set up bases in the province of South Kivu in eastern DRC where they were reported to have formed alliances with Congolese armed groups. 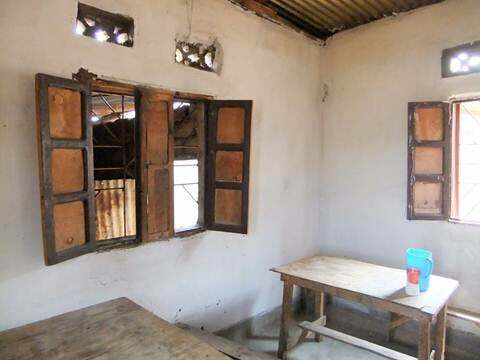 On October 29, 2011 armed men suspected by witnesses to be elements of the FNL came from the direction of the Rukoko forest and attacked the Saga Rukoko bar, in Gihanga commune, Bubanza province. The attack was staged at night after the clients had left. While there are sometimes military patrols in this area, there were none on that night. A group of about 30 armed men split up and ambushed the bar from both sides. They took three staff members hostage and captured a man who happened to be passing by. They demanded money from the bar keeper and stole crates of drinks and a stereo. The leader of the group then asked where “Joseph” was. According to local residents, Joseph was a collaborator of the SNR and a frequent patron of the bar as he lived nearby. He was not present at the time of the attack. The armed men then made their hostages carry the stolen goods away. When they reached the next compound, it became clear to the hostages that they were being taken to the Rukoko forest, about one kilometer away. One of the hostages, the man who had been passing by, nicknamed Bebe, yelled for help. The gunmen immediately executed him. The three other hostages tried to run away. One, identified as Fulgence, was killed while the other two escaped uninjured. Local sources speculated that this attack may have been launched in reprisal for military action in the Rukoko forest after the Gatumba attack. Such attacks were frequent during 2011. In the above example, the victims happened to be civilians, but in other cases, armed groups have deliberately killed members of the police and military rather than civilians. During several months in late 2010 and early 2011, in particular, there was a string of concerted attacks on police posts in different provinces. In addition to killing policemen, the attackers looted weapons and other goods. The perpetrators of such attacks usually escaped without being arrested, so were rarely identified. While some Burundians have blamed the FNL, others have pointed to the emergence of new armed opposition groups in 2011, such as two groups, one calling itself FRONABU-Tabara and the other calling itself FRD-Abanyagihugu. Both groups issued public statements in 2011. Some of these groups have left leaflets at the scene of their attacks; others have distributed leaflets in villages and towns calling on the local population to support them and demanding financial contributions. The almost complete impunity protecting those responsible for political killings, especially state security agents and the Imbonerakure, has been a major factor behind the increase in violence and the killings throughout 2011. The state's inability or unwillingness to render justice is a source of immense frustration for victims’ families. The failure to conduct even the most basic of investigations has led segments of the population to lose all confidence in the justice system; many people have concluded that government institutions are unable or incapable of assisting them and may even be implicated in the killings. The Burundian police force and justice system suffer from a severe lack of capacity and training, and have very few resources with which to address ever increasing caseloads. The problem is aggravated by a lack of political will to hold perpetrators of human rights abuses to account; a lack of independence among some elements of the judiciary; and a degree of apathy on the part of the government and particularly the police − all of which have contributed, directly or indirectly, to the ongoing violence. In the case of an armed attack on a bus in June 2011 in Cibitoke, in which two people were killed, the police openly admitted that they did not investigate the incident. Instead they speculated that the attack could have been linked to a private argument or an economic dispute. The day after my son was killed, the police came and asked us what had happened. The population refused to answer their questions, because they were so angry towards the police for their failure to act. They said to the police “we don’t understand why you come after people have died instead of ensuring our protection.” The police questioned me and my husband. We explained we hadn’t seen anything. The police stayed for about 10 minutes. They didn’t come back. In many other cases, relatives of victims and other witnesses told Human Rights Watch that when the police was informed about an incident, they would come to the scene and note a few basic details, then leave without even questioning eye-witnesses. With a few exceptions, local government officials (for example the administrateurs communaux, who head the communes, most of whom are CNDD-FDD members) were even less responsive. Families of victims complained of the apparent indifference of these officials when attacks occurred, even when they personally knew members of the grieving family. In several cases that may have been politically motivated, prosecuting authorities have identified suspects by name (or at least by their first name, a common practice in Burundi). However, very few of these individuals have been apprehended, even when their full identity was known. In some instances, state agents, including individuals who were in active service with the police force or who had ties to the SNR, have been identified by eye-witnesses and cited as suspects by prosecuting officials. Yet such individuals have continued to operate in public with impunity. Human Rights Watch asked the prosecutor general why suspects were arrested in some cases but not others, citing as an example the authorities' failure to arrest Cyrille Nahimana, the policeman implicated in the killing of former FNL commander Audace Vianney Habonarugira (see section III). The prosecutor general did not specifically explain why Nahimana had not been arrested; he simply cited the Code of Penal Procedure which states that a suspect can be arrested if there is a likelihood they will escape or re-offend, or if there are threats to victims or witnesses. The impunity has been particularly pronounced in cases where state agents may have been responsible and the victims were current or former FNL members. The relative of an FNL member who was killed complained to Human Rights Watch researchers about the lack of serious investigations and the absence of any response to her brother's death on the part of local authorities: “The police came the next day [after the killing] but did nothing. There is a police post very close to here. They asked questions but didn't really investigate. They never came back. The administrateur communal didn't come at all. There are double standards. When an FNL person is killed, nothing happens. When a CNDD-FDD person is killed, there are lots of arrests.” However, even when people have been arrested in connection with killings of CNDD-FDD members, evidence may be unreliable, and in some cases, there have been doubts as to whether the individuals arrested were really responsible for the crime. I have not talked to the police about this. Because of the politics here in Burundi I can’t. I am a member of the FNL, I used to be a member of the FNL youth committee. Right now, because of the situation, there is no more activity in the party, but I still cannot talk to the police. I cannot even talk to the authorities. The Burundian government’s overall response to political killings in 2011 has been to minimize the scale of the problem. Government officials have blamed most of the violence on armed criminals, downplayed the political dimension, and tried to reassure national and international public opinion that the country was safe. In the first few months of 2011, senior government officials, including the president, the minister of public security and others, consistently attributed the violence to armed criminals and vowed that the problem would be resolved within a few months. In March 2011, President Nkurunziza told Human Rights Watch that the situation was manageable, that it would be under control in five or six months, and that 80 percent of the perpetrators of violent acts had been arrested and tried. The then Minister of Public Security, Alain Guillaume Bunyoni, spoke in the same vein, stating that seven out of 10 “criminal networks” which the government had identified had already been dismantled. The same minister told Human Rights Watch in July 2011 − by which time political violence had escalated further − that the situation in the country was “100% peaceful” while acknowledging incidents of insecurity. This time, he claimed that 90 percent of the criminal networks had been dismantled. As the months passed and the political dimension of the attacks became clearer, some officials changed their rhetoric and admitted that some of the violence may be politically motivated. The minister of public security acknowledged that some killings may have been political, but claimed that many criminals artificially created the impression of political attacks (for example by burning party flags) when their real motives were simply criminal. He and President Nkurunziza said that every 45 days, the president convened a meeting of senior government, security, and judicial authorities to discuss the security situation and ensure that those responsible for violence were arrested. Human Rights Watch held several meetings with senior Burundian government officials in 2011. Overall, these meetings were positive, and officials made broad commitments to respect human rights and hold to account those responsible for abuses. In response to questions on political killings, they reflected the official line summarized above and refrained from discussing the details of specific cases. On September 2, 2011, Human Rights Watch wrote a letter to the prosecutor general expressing concern about the continuing political violence and enclosing a list of 13 cases of killings in Bujumbura Mairie and Bujumbura Rural, most of which are described in the present report. Human Rights Watch asked the prosecutor general for information on the state of investigations and judicial processes in each case. The prosecutor general replied on September 30, 2011, providing information on some of the cases; however, on others, the response is vague. The letter blames many of the killings on Edouard Ruvayanga, a former FNL commander killed in September 2011. Human Rights Watch followed up this correspondence with a meeting with the prosecutor general, and more detailed discussions on individual cases with the prosecutors of Bujumbura Mairie and Bujumbura Rural. The outcomes of those discussions are referenced in the sections on individual cases in this report. Throughout 2011, the government stated repeatedly that the perpetrators − whether common criminals or rebels − would be apprehended and brought to justice. However, as illustrated in this report, these promises have not been fulfilled, and in the vast majority of cases, justice has not been served. In the one case where prosecutions did take place relatively quickly − the Gatumba attack − the judicial process was seriously flawed, calling into question the fairness of the trial. Furthermore, at the time of writing, the report of the commission of inquiry into the Gatumba attack has still not been published. The reports of previous commissions of inquiry into extrajudicial killings and other abuses in 2010 have not been published either. Following international pressure from diplomats, human rights organizations, and others, the government announced two commissions of inquiry: one on extrajudicial killings in 2010, and the other on abuses before, during, and after the 2010 elections. After long delays, the two commissions eventually started their work in 2011. The first submitted its report to the prosecutor general in June 2011; the prosecutor general told Human Rights Watch in October 2011 that it would be published once casefiles had been opened. The second (an inter-ministerial commission reporting to the president) had not yet submitted its report in October 2011. By early 2012, neither report had been published. At the international level, several Western and African diplomats based in Bujumbura have raised concerns about the 2010 and 2011 political violence. In May 2011, five ambassadors and heads of mission, represented by the European Union ambassador, wrote a joint statement to the government expressing strong concern about reports of extrajudicial executions and torture since the period of the 2010 elections and calling on the authorities to take action to deliver justice. On February 10, 2012, the European Union delegation in Burundi issued a statement highlighting the importance of an independent and efficient justice system as a “crucial element in reconciliation and the harmonious development of Burundian society;” the statement mentioned the Gatumba attack, among other cases. Burundi is known for its engaged civil society and vibrant independent media. Burundian human rights organizations and journalists regularly document and publicly denounce human rights abuses. The government has tended to perceive such criticisms as hostility. For several years, it has accused civil society leaders and journalists of siding with the political opposition and serving as their mouthpiece. These accusations intensified as political tension increased. Journalists who continued to report on the political situation and on human rights abuses in 2011 have been targeted with repeated summonses and threats of arrest. Between July and November 2011, Bob Rugurika, chief editor of Radio publique africaine (RPA), a leading independent radio station in Bujumbura, was summonsed eight times to the public prosecutor’s office and questioned about RPA’s programs. He was accused of disseminating information in his broadcasts that “incites the population to civil disobedience” and “incites ethnic hatred,” but was not formally charged. The government is openly hostile towards the independent media. A government statement on the security situation in Burundi in October 2011 contains numerous references to the role of the media. Under a section entitled “Media at the service of politicians,” it states: “Some media have exploited information wrongly and have manipulated it either to show that a rebellion is in the making, or to call for negotiations, or to show that the government is killing members of the opposition.” The document implies that some media establishments may be deliberately exaggerating the level of insecurity or the importance of “a rebellion in the making” in order to keep attracting funds from donors. Under Burundi’s press law, journalists have the right to “investigate and freely comment on public life.” The severe press restrictions on the coverage of the Gatumba attack, baseless and routine summonses for print and radio journalists with independent editorial lines, and the equating of the media and the opposition have all curtailed this right. The government, in its November 2011 45-page document, attacked civil society organizations, specifically naming certain human rights activists. One of those named was Pierre-Claver Mbonimpa, president of the human rights organization APRODH, who was accused of publicly speaking about an alleged government plan to eliminate opposition members. The government asked the international community to be vigilant in ensuring that the funding it provides to the media and civil society is destined to contribute to the consolidation of peace and democracy in Burundi. As one of the country’s leading and most outspoken human rights activists, Pierre-Claver Mbonimpa has continued to be the target of intimidation by government authorities in more recent months. On February 8, 2012, the minister of interior sent him a strongly-worded letter, claiming that his organization had, for some time, “undertaken a quasi-campaign of disinformation, demonization and inciting the population to distrust the authorities, institutions and public services of the State by publishing statements which contain generalizations and are devoid of any evidence.” Referring to allegations by APRODH that the SNR was distributing arms to youths (Mbonimpa had spoken on the radio on this subject), the letter accused Mbonimpa of lying, “with all the consequences that such behavior can entail.” The minister gave Mbonimpa a 10-day ultimatum to provide evidence of the alleged arms distribution and threatened “severe sanctions” against his organization if he failed to do so. Mbonimpa replied to the minister on February 16, explaining that APRODH’s assertions were based on reports of its human rights observers and information provided by witnesses, rather than on his personal observations. He stated that as a human rights organization, APRODH had a duty to share information with a view to preventing further human rights abuses. The minister, in his February 24 response, described Mbonimpa’s letter as “far from satisfactory,” complaining that he had not provided evidence of the distribution of arms to youths by the SNR. The letter warned Mbonimpa that if APRODH did not submit to the control of the Ministry of Interior (which is responsible for the registration of non-governmental organizations in Burundi), its official registration could be withdrawn. In early 2012, the political situation in Burundi remains tense and the security situation uncertain and fragile. After a year that saw scores of people killed in politically motivated attacks, the first few months of 2012 have been calmer. This apparent reduction in violence is welcome, but the fundamental problems identified in this report − including widespread impunity for perpetrators of political killings, fear among the population, and political intransigence − have not been resolved. In the continuing political stalemate, the rhetoric of senior government and opposition leaders remains defiant. The relative calm should also not detract from the continuing absence of justice for victims of political killings and other crimes committed in 2010 and 2011. The victims’ families are still waiting for justice and the deaths of their relatives should not be forgotten. By ensuring that judicial officials make a clear and concerted effort to conduct independent investigations leading to the identification and prosecution of those responsible for these killings − whatever their political affiliation or rank − the government would be making an important contribution to restoring public faith in the Burundian justice system. It would also demonstrate that it has the political will to bring human rights abusers to justice. Most importantly, it would deter further acts of vengeance and help restore security across the country. At the international level, Burundi’s partners should continue to monitor the situation closely and to call on the government to demonstrate its resolve to end political violence and deliver justice, as well as protect journalists and civil society activists under threat. These steps will be critical not only to relieve the suffering of the victims’ families, but to prevent a further spiraling of violence that could threaten the country’s longer-term stability. This report was researched and written by Lewis Mudge, researcher, and Carina Tertsakian, senior researcher, in the Africa Division of Human Rights Watch. It was reviewed by Rona Peligal, deputy director of the Africa Division, Clive Baldwin, senior legal adviser, and Babatunde Olugboji, deputy program director in the program office. Production assistance was provided by Lianna Merner, associate in the Africa Division; Grace Choi, publications director; Kathy Mills, publications specialist; Ivy Shen, multimedia production assistant; and Fitzroy Hepkins, mail manager. Danielle Serres translated the report into French, with the assistance of Simon Marrero. Peter Huvos, French website editor, vetted the French translation. Human Rights Watch wishes to thank the scores of victims and witnesses of political violence in Burundi, and their relatives, who talked to Human Rights Watch, sometimes at great personal risk, as well as the Burundian human rights activists and journalists who continue to document and report on abuses in the face of persistent intimidation. The following people were killed in the attack at Gatumba on September 18, 2011. Others (not listed here) suffered various injuries. The following individuals were charged and tried for their alleged participation in the attack at Gatumba on September 18, 2011. The trial took place in December 2011. The judgment was announced on January 27, 2012. Some of these positive developments are mentioned in the summary in this report. In particular, a National Independent Human Rights Commission (CNIDH) began functioning in June 2011. In its first few months, the CNIDH has already demonstrated significant independence and has produced several public statements on cases of human rights abuse. See for example its statements on the killing of Léandre Bukuru (November 22, 2011) and on the Gatumba massacre (September 20, 2011). See International Crisis Group, “Burundi: From Electoral Boycott to Political Impasse”, Africa Report n. 169, February 7, 2011. Burundian and international organizations documented extensive human rights violations during this period, including targeted assassinations, many of them by CNDD-FDD members. For further information, see Human Rights Watch, “We’ll Tie You Up and Shoot You:” Lack of Accountability for Political Violence in Burundi, May 14, 2010, http://www.hrw.org/en/reports/2010/05/14/we-ll-tie-you-and-shoot-you-0. 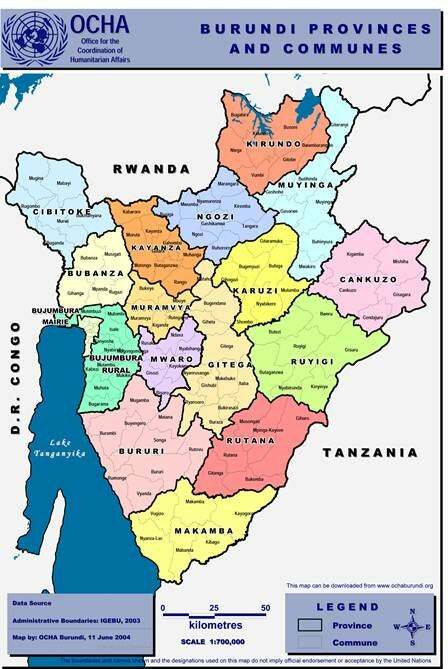 Burundi is divided into 17 provinces, each of which is divided into communes. Communes are further divided into zones, which are divided into collines (hills). For further information on the 2010 communal elections, including allegations of fraud and corruption, see Human Rights Watch, Closing Doors? 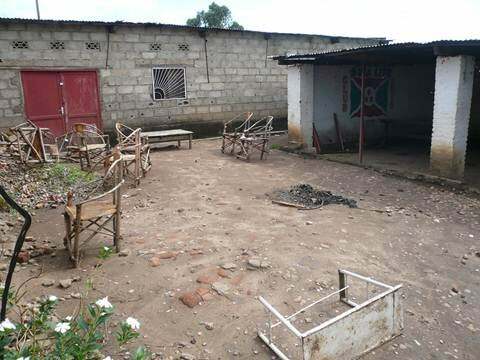 The Narrowing of Democratic Space in Burundi, November 23, 2010, http://www.hrw.org/reports/2010/11/23/closing-doors-1, pp. 20-22. For further information, see Human Rights Watch, Closing Doors?, November 23, 2010, pp. 40-41, and International Crisis Group, Burundi: From Electoral Boycott to Political Impasse, February 7, 2011, pp. 10-11. This officially recognized wing of the FNL is commonly referred to in Burundi as the FNL-Miburo (after its president Emmanuel Miburo), in contrast with what some describe as the “real” FNL, or “the FNL of Agathon Rwasa”. Letter from Agathon Rwasa to the United Nations, September 21, 2010. For example on September 15, 2010, armed men in military uniform killed seven workers on a sugar plantation in Bubanza owned by a prominent member of the CNDD-FDD. For further information see Human Rights Watch, Closing Doors?, November 23, 2010, p. 23. Human Rights Watch interviews with former FNL combatants, journalists and other sources, Bujumbura, August and October 2011. For example, a local official used this term when describing a victim’s dead body and the way in which he had been killed. Human Rights Watch interview with relative of victim, Bujumbura, October 26, 2011. Human Rights Watch interview with witness, Bujumbura, October 27, 2011. For more information see section III of this report. Human Rights Watch interview with Burundian journalist, Bujumbura, July 3, 2011. Human Rights Watch interview with individual close to Ndayishimiye, Bujumbura, July 14, 2011. Human Rights Watch interview with individual close to Ndayishimiye, Bujumbura July 14, 2011. Some sources referred to him as Arthémon Misigaro. Human Rights Watch interview with eye-witness, Bujumbura, July 14, 2011. Human Rights Watch interview with young man in Bujumbura, March 15, 2011. For further information on CNDD-FDD youth groups, see Human Rights Watch, Pursuit of Power: Political Violence and Repression in Burundi, June 3, 2009, http://www.hrw.org/reports/2009/06/03/pursuit-power, p 63, and “We’ll Tie You Up and Shoot You”, May 14, 2010, p.16. Human Rights Watch interview with relative of victim of a killing in Kanyosha, Bujumbura Mairie, July 9, 2011. Human Rights Watch interview with resident of Kanyosha, Bujumbura Mairie, July 9, 2011. While some former FNL members have willingly joined the government or the CNDD-FDD, in part in the hope of obtaining employment, others have been forced to do so to protect their lives. Human Rights Watch interview with Audace Vianney Habonarugira, Bujumbura, July 9, 2011. Habonarugira and several people close to him interviewed by Human Rights Watch described Cyrille Nahimana as an intelligence agent. Judicial officials told Human Rights Watch that Nahimana was a policeman (letter to Human Rights Watch from Valentin Bagorikunda, prosecutor general, September 30, 2011, and Human Rights Watch interview with the prosecutor of Bujumbura Mairie, Bujumbura, October 24, 2011). In practice, Burundian police and intelligence agents often work together, and it can be difficult to differentiate them unless they are in police uniform. Both institutions have been used by the government and the CNDD-FDD to target former FNL members; in most cases, their agents who have been involved in human rights abuses have been protected by their own hierarchy. Human Rights Watch checked his identity with several other sources, including officials in the prosecutor’s office. Human Rights Watch interview with person close to Habonarugira, Bujumbura, August 31, 2011. Human Rights Watch interview with Audace Vianney Habonarugira, Bujumbura, July 9, 2011, and person close to him, Bujumbura, August 31, 2011. Human Rights Watch interview with local official, Isare, Bujumbura Rural, July 18, 2011. Human Rights Watch interview with Augustin Sinzoyibagura, prosecutor of Bujumbura Mairie, Bujumbura, July 20, 2011. Human Rights Watch interview with judicial official, Bujumbura, October 24, 2011. Letter to Human Rights Watch from Valentin Bagorikunda, prosecutor general, September 30, 2011; Human Rights Watch interview with Valentin Bagorikunda, prosecutor general, Bujumbura, October 18, 2011. Human Rights Watch interview with judicial official, Bujumbura, January 23, 2012. Human Rights Watch interview with person close to Niyirera, Muramvya, October 27, 2011. Human Rights Watch interview with person close to Niyirera, Bujumbura, September 2, 2011. Human Rights Watch interview with person close to Niyirera, Bujumbura, August 31, 2011. Human Rights Watch telephone interview with Gamaliel Nkurunziza, prosecutor of Kayanza, January 19, 2012. The term “intellectual” is used in Burundi to describe individuals with a relatively high level of formal education. Human Rights Watch interview with person close to Ndayishimiye, Gitega, October 23, 2011. Human Rights Watch interview with person close to Ndayishimiye, Gitega, October 22, 2011. Human Rights Watch interview with former local government official, Bujumbura, October 26, 2011. See “Les voisins ont peur de faire le deuil,” Iwacu, October 15, 2011, http://iwacu-burundi.org/spip.php?article1106. Human Rights Watch interview with person close to Nibitanga, Bujumbura, October 26, 2011. There are few economic opportunities in Burundi; joining the government or the army is seen as a path towards fairly secure employment. Human Rights Watch interview with person close to Nibitanga, Bujumbura, October 27, 2011. Human Rights Watch interview with person close to Nibitanga, Bujumbura, October 26, 2011. See “FNL: éliminés un à un,” Iwacu , September 3, 2011, http://iwacu-burundi.org/spip.php?article759. Threats by Numéro have been cited to Human Rights Watch researchers on several other occasions (see section below entitled “A Clandestine Life: FNL and Former FNL Members in Hiding”, footnote 89). Human Rights Watch interviews with judicial officials, Bujumbura, October 25 and 28 and December 6, 2011. Human Rights Watch interview with persons close to Mpaganje, Bujumbura, March 11, 2011. Letter to Human Rights Watch from Valentin Bagorikunda, prosecutor general, September 30, 2011. Human Rights Watch interviews with persons close to Mwina, Bujumbura, July 16, 2011. Human Rights Watch interviews with persons close to Ndayishimiye, Bujumbura Rural, July 9 and 10, 2011. Human Rights Watch interview with demobilized FNL combatant, Bujumbura, July 10, 2011. Human Rights Watch interview with former FNL combatant, Bujumbura, September 4, 2011. Human Rights Watch interview with former FNL combatant, Bujumbura, October 21, 2011. In interviews with Human Rights Watch, witnesses in several different cases cited the names of Kazungu and Numéro as allegedly implicated in threats and killings. Witnesses identified Numéro as having escorted Oscar Nibitanga from his house the day before he was killed. Kazungu, described as an influential official in the SNR, was also cited in a number of cases. For example Human Rights Watch researchers spoke with a former FNL combatant who was detained by the SNR for about two weeks in July 2010 and was beaten and tortured in SNR custody. He said that Kazungu had questioned him about the whereabouts of Agathon Rwasa and told him, “if you refuse to tell us where he is, we will kill you.” Human Rights Watch interview with former FNL combatant, Bujumbura, September 4, 2011. Human Rights Watch interview with former FNL combatant in hiding, Bujumbura, September 1, 2011. Human Rights Watch interviews with former FNL members at the CNIDH office in October and December 2011 and January 2012. Human Rights Watch interview with former FNL members at CNIDH office, Bujumbura, October 28, 2011, and with members of the CNIDH, Bujumbura, October 14 and 17, 2011, and January 23, 2012. Human Rights Watch interview with former FNL member who had taken refuge in the CNIDH office, Bujumbura, March 2, 2012. Human Rights Watch interview with former FNL party member, Bujumbura, December 7, 2011, and telephone interview, February 22, 2012. Human Rights Watch interview with former FNL official, Bujumbura, October 26, 2011. Human Rights Watch interview with former FNL combatant in hiding, Bujumbura, October 28, 2011. Human Rights Watch interview with individual close to Bugingo, Bujumbura, March 16, 2011. Human Rights Watch interview with individual close to Bugingo, Bujumbura, March 10, 2011. Human Rights Watch interviews with individuals close to Bugingo, Bujumbura, March 10 and 16, 2011. Translated for Human Rights Watch. Human Rights Watch interview with individual close to Hamza, Bujumbura, March 6, 2011. Statement on the case of Léandre Bukuru, Commission nationale indépendante des droits de l'homme, November 22, 2011. Human Rights Watch interview with individual close to Bukuru, Bujumbura, December 5, 2011. Ibid. Human Rights Watch conducted its own investigation into this incident and interviewed individuals close to the victim and witnesses to his abduction. Due to the extreme sensitivity of this case, all testimony was collected on the understanding that sources would be protected and not referenced. Human Rights Watch telephone interview with Emery Ndicunguye, prosecutor of Gitega, January 23, 2012. The information on this case is based primarily on Human Rights Watch interviews with local officials, Bujumbura Rural, July 17, 2011, people close to Ngendakumana and Ntiranyibagira, Bujumbura, August 30, 2011, judicial officials of Bujumbura Rural, Bujumbura, October 28, 2011, and witnesses of the incident, Bujumbura, December 6, 2011. Human Rights Watch interview with person close to Ngendakumana, Bujumbura, August 30, 2011. Human Rights Watch interview with local official, Bujumbura Rural, July 17, 2011. Human Rights Watch interview with person close to Ntiranyibagira, Bujumbura, August 30, 2011. Human Rights Watch interview with witness to the incident, Bujumbura, December 6, 2011. Human Rights Watch interview with judicial official of Bujumbura Rural, Bujumbura, October 28, 2011. Human Rights Watch interviews with people close to Ngendakumana and Ntiranyibagira, Bujumbura, August 30, 2011. In 2011, Human Rights Watch spoke with four people closely connected to this case, including an eye-witness. The information on this case is based primarily on Human Rights Watch interviews with individuals close to Hakizimana, Bujumbura, March 13, 2011 and July 14, 2011. Human Rights Watch interview with individuals close to Hakizimana, Bujumbura, March 13, 2011. Human Rights Watch interview with individuals close to Hakizimana, Bujumbura, July 14, 2011. Human Rights Watch interview with individuals close to Hakizimana, Bujumbura, March 13 and July 14, 2011. These uniforms do not necessarily mean that the attackers were members of the police or military. Armed opposition groups in Burundi frequently steal and wear uniforms belonging to the security forces. The information on this case is based on Human Rights Watch interviews with witnesses and residents of Bisoro, Bujumbura, July 5, 2011. Human Rights Watch interviews with eye-witnesses, Bisoro, Bujumbura, July 5, 2011. See Human Rights Watch, Burundi: The Gatumba Massacre. War Crimes and Political Agendas, September 7, 2004, http://www.hrw.org/sites/default/files/reports/burundi0904.pdf . The FNL accepted responsibility for the attack. On the basis of its own research, Human Rights Watch counted 37 victims. Other sources have put the figure at 39 or higher. For further details, see Annex I and footnote 235. Human Rights Watch interviews with survivors, Gatumba and Bujumbura, October 2011. Human Rights Watch interview with survivor, Gatumba, October 15, 2011. Human Rights Watch interviews with survivor, Bujumbura, October 15, 2011, and with Gatumba resident, Bujumbura, October 25, 2011. Human Rights Watch interview with survivor, Bujumbura, October 15, 2011. Human Rights Watch interviews with survivors and witnesses, Gatumba and Bujumbura, October 2011. Human Rights Watch was not able to ascertain beyond doubt the exact number of victims, as there were discrepancies between some statements and testimonies. The list in Annex I was compiled on the basis of several sources. See footnote 235 for details. Human Rights Watch interviews with injured survivors, Bujumbura, October 19, 2011. Human Rights Watch interview with Gatumba resident and relative of one of the victims, Gatumba, October 16, 2011; Human Rights Watch interview with local official, Gatumba, October 17, 2011. Human Rights Watch interview with injured survivor, Bujumbura, October 19, 2011. Human Rights Watch interviews with survivors and local residents, Gatumba and Bujumbura, October 2011. Human Rights Watch interview with resident of Gatumba, Bujumbura, October 20, 2011. Human Rights Watch interview with survivor, Bujumbura, October 16, 2011. Human Rights Watch interview with survivor, Bujumbura, October 18, 2011. Human Rights Watch interview with survivor, Bujumbura, October 17, 2011. Human Rights Watch interview with judicial official, Bujumbura, October 25, 2011. Human Rights Watch interviews with local residents, Gatumba, October 2011. See articles 277 to 279 of the Constitution of Burundi. Loi no. 1/010 du 18 mars 2005 portant promulgation de la Constitution de la République du Burundi, arts. 277-279. “Communiqué du Conseil national de sécurité au lendemain des massacres perpétrés en zone Gatumba” (“Statement of the National Security Council following the massacres perpetrated in Gatumba zone”), September 20, 2011 (on file with Human Rights Watch). See “Gatumba: le gouvernement et les médias divisés sur la gestion des infos,” Iwacu, September 22, 2011, http://iwacu-burundi.org/spip.php?article937. The minister reiterated this prohibition to Radio publique africaine (RPA) in a letter on a different subject in November. See letter from Concilie Nibigira, minister of telecommunications, information, communication and relations with the parliament, to the director general of RPA, November 16, 2011 (on file with Human Rights Watch). See “Le Conseil national de sécurité demande des sanctions contre certains médias et membres de la société civile,” Iwacu, November 13, 2011, http://iwacu-burundi.org/spip.php?article1331. See section X of this report and “Burundi: Stop Menacing the Media,” Human Rights Watch news release, November 21, 2011, http://www.hrw.org/news/2011/11/21/burundi-stop-menacing-media. Loi n˚1/025 du 27 novembre 2003 régissant la presse au Burundi, art. 10 and art. 11. UN Human Rights Committee, General Comment no.34 on article 19 , Freedom of Opinion and Expression, July 21, 2011, CCPR/C/GC/34. Letter entitled “Point de situation sur le massacre de Gatumba du 18/09/2011” (“Situation report on the Gatumba massacre of 18/09/2011”), dated September 27, 2011, signed by General-Major Adolphe Nshimirimana, the director of the SNR (on file with Human Rights Watch). Letter entitled “A qui de droit” (“To whom it may concern”), dated October 6, 2011, signed by Agathon Rwasa, president and legal representative of the FNL (on file with Human Rights Watch). Human Rights Watch trial observation notes, Bujumbura, December 13, 2011, and interview with defense lawyer, Bujumbura, January 23, 2012. Human Rights Watch interviews with journalists, members of civil society organizations and other sources, Bujumbura, October 2011. Human Rights Watch interview with witness, Bujumbura, October 18, 2011. Human Rights Watch interviews with confidential sources, Bujumbura, October 26 and 27, 2011. For further information on Kazungu, see section above entitled “A Clandestine Life: FNL and Former FNL Members in Hiding” and footnote 89. Human Rights Watch trial observation notes, Bujumbura, December 8, 9, 12 and 13, 2011. Human Rights Watch interview with Gatumba resident, Bujumbura, October 25, 2011. Human Rights Watch trial observation notes, Bujumbura, November 16, 2011. Human Rights Watch interview with defense lawyer, Bujumbura, March 5, 2012. See also “Lieutenant François Niyonkuru: acquitté mais toujours en prison,” Iwacu, March 9, 2012. Human Rights Watch interviews with defense lawyers, Bujumbura, January 18, 20 and 23, 2012. Bujumbura Bar Association, “Déclaration de l’Ordre des Avocats du Burundi suite à l’instruction de l’affaire RPC 0272 relative aux massacres de Gatumba” (“Statement of the Lawyers’ Association of Burundi following the opening of case RPC 0272 relating to the Gatumba massacres”), December 16, 2011. “Déclaration locale de l’UE sur l’indépendance de la justice au Burundi” (“Local Statement of the EU on the Independence of Justice in Burundi”), Bujumbura, February 10, 2012. Human Rights Watch trial observation notes, Bujumbura, December 8-14, 2011. Human Rights Watch trial observation notes, Bujumbura, December 14, 2011, and interviews with defense lawyers, January 19-23, 2012. Human Rights Watch electronic correspondence with source in Bujumbura, February 7, 2012, and Human Rights Watch interviews with defense lawyers, Bujumbura, January 23, 2012. Human Rights Watch interview with a defense lawyer, Bujumbura, January 20, 2012. Human Rights Watch trial observation notes, Bujumbura, December 14, 2011, and interviews with defense lawyers, Bujumbura, January 19-23, 2012. Human Rights Watch interview with Prosecutor General Valentin Bagorikunda, Bujumbura, October 18, 2011. Human Rights Watch interviews with defense lawyers and other individuals following the case, October 2011 and January 2012. For further information, see Final Report of the Group of Experts on the Democratic Republic of Congo, submitted to the UN Security Council on December 2, 2011 (S/2011/738). 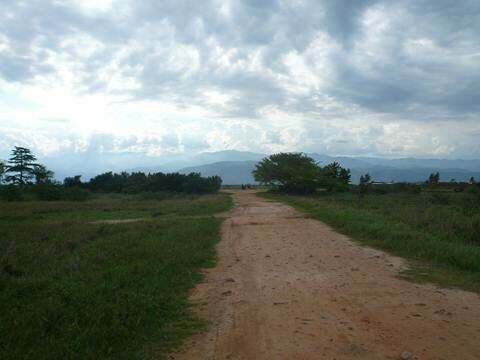 The Rukoko forest, north of Bujumbura along the border with the DRC, is regarded as a bastion for FNL combatants. Human Rights Watch interview with witness, Bubanza, December 2, 2011. Human Rights Watch interview with local resident, Bujumbura, December 6, 2011. Human Rights Watch interviews with Burundian researchers, civil society activists, journalists and local government officials in Bujumbura Mairie and Bujumbura Rural, March 2011. Human Rights Watch did not carry out its own in-depth research into attacks which targeted members of the security forces rather than civilians. See for example “Communiqué de presse du Front national pour la révolution au Burundi FRONABU-Tabara,” October 21, 2011, and “Memorandum no.1 du 22 novembre 2011 du mouvement ‘F.R.D-Abanyagihugu’,” November 22, 2011. Human Rights Watch interviews with residents of several neighborhoods, Burundian researchers, journalists and human rights activists, Bujumbura and other locations, February to October 2011. Human Rights Watch interview with survivor of Gatumba attack, Bujumbura, October 16, 2011. Human Rights Watch interviewed a provincial judicial official on October 25, 2011 who attested to these difficulties. He stated that the prosecuting services only had one vehicle for the whole province and an allowance of only 35 liters of fuel per week, making it impossible to reach every site of a violent crime, let alone carry out in-depth investigations. Human Rights Watch interview with judicial police officer, Cibitoke, July 6, 2011. This case illustrates a broader problem with police failure to investigate crimes, extending beyond political cases. The attack on the bus did not appear to be a politically-motivated incident, and it would have been easy for the police to locate and interview witnesses and survivors. Within a matter of hours, Human Rights Watch researchers located several eye-witnesses of the incident within walking distance of the police station. Human Rights Watch interview with resident of Bujumbura Rural, July 9, 2011. One of the most blatant examples is Désiré Uwamahoro, a commander of the police Mobile Rapid Intervention Group (Groupement mobile d’intervention rapide, GMIR). In June 2009, Uwamahoro and two other police officers were convicted of assaulting detainees in 2007 (see Human Rights Watch, Closing Doors?, November 23, 2010, pp. 55-56). Uwamahoro remains free and commands the GMIR in Kanyosha Rural (Bujumbura Rural province), an FNL stronghold and one of the areas most affected by political killings. Uwamahoro has continued to be implicated in numerous human rights abuses. For further information, see Human Rights Watch, Pursuit of Power, June 3, 2009, p. 29, and Human Rights Watch, “Every Morning they Beat me:” Police Abuses in Burundi, May 1 2008, http://www.hrw.org/sites/default/files/reports/burundi0408_1.pdf, p. 8. Human Rights Watch interview with Valentin Bagorikunda, prosecutor general, Bujumbura, October 18, 2011. Human Rights Watch interview with relative of victim, Bujumbura, March 10, 2011. Human Rights Watch interview with witness, Bujumbura Rural, August 30, 2011. Human Rights Watch interview with relative of victim, Bujumbura, March 16, 2011. Human Rights Watch interview with President Pierre Nkurunziza, Bujumbura, March 3, 2011. Human Rights Watch interview with Alain Guillaume Bunyoni, minister of public security, Bujumbura, March 2, 2011. Human Rights Watch interview with Alain Guillaume Bunyoni, minister of public security, Bujumbura, July 11, 2011. Human Rights Watch interviews with Alain Guillaume Bunyoni, minister of public security, Bujumbura, July 11, 2011, and with President Pierre Nkurunziza, Bujumbura, March 3, 2011. Government of Burundi, “Déclaration du gouvernement sur la sécurité au Burundi au 31 octobre 2011” (“Government Statement on the Security Situation in Burundi as of 31 October 2011”), Bujumbura, November 2011. Letter from Human Rights Watch to Valentin Bagorikunda, prosecutor general, September 2, 2011. Letter to Human Rights Watch from Valentin Bagorikunda, prosecutor general, September 30, 2011. Human Rights Watch did receive testimony from several former FNL combatants that Ruvayanga was coordinating attacks on police posts in early 2011. However, witnesses interviewed by Human Rights Watch did not implicate him in the individual cases of political murders presented in this report. Statement signed by the ambassadors of the European Union, USA, Switzerland, the head of mission of Norway and the Apostolic Nuncio, Bujumbura, May 26, 2011. “Déclaration locale de l’UE sur l’indépendance de la justice au Burundi”, Bujumbura, February 10, 2012. For more information, see Human Rights Watch, Closing Doors?, November 2010, p. 42. See “Burundi: Stop Menacing the Media”, Human Rights Watch news release, November 21, 2011. Government of Burundi, “Déclaration du gouvernement sur la sécurité au Burundi au 31 octobre 2011,” p.30. Loi n˚1/025 du 27 novembre 2003 régissant la presse au Burundi, art.3. See section VI for more information on the media blackout after the Gatumba attack. Speech by President Pierre Nkurunziza on the first anniversary of his second term in office, August 26, 2011. Government of Burundi, “Déclaration du gouvernement sur la sécurité au Burundi au 31 octobre 2011,” p. 15. The rumored plan, called “Safisha” (“cleaning”), was allegedly aimed at wiping out opposition activists. Mbonimpa asked the prosecutor’s office to investigate the veracity of this plan. For more information see “Burundi rights body reports surge in killings”, Reuters, September 7, 2011, http://af.reuters.com/article/topNews/idAFJOE7860NK20110907. Government of Burundi, “Déclaration du gouvernement sur la sécurité au Burundi au 31 octobre 2011,” p. 45. Letter from Edouard Nduwimana, minister of interior, to Pierre-Claver Mbonimpa, president of APRODH, February 8, 2012 (on file with Human Rights Watch). Letter from Pierre-Claver Mbonimpa, president of APRODH, to Edouard Nduwimana, minister of interior, February 16, 2012 (on file with Human Rights Watch). Letter from Edouard Nduwimana, minister of interior, to Pierre-Claver Mbonimpa, president of APRODH, February 24, 2012 (on file with Human Rights Watch). This list was compiled on the basis of several sources including the names inscribed on the graves of the victims in Gatumba; information provided to Human Rights Watch by relatives of victims and other local sources in Gatumba; a list drawn up by lawyers representing victims’ families; and names of victims included in the official notification of charges to those accused of participation in the attack. There were some discrepancies between the different lists. For example, two or three names appeared on some lists but not others, and some names were noted differently on different lists. The names of some individuals who died from their injuries after the attack may not have been included on the original lists. Information based on an extract of the official notification of the judgment, January 30, 2012. The complete judgment was not available at the time of writing. Those found guilty of this offense were convicted under Title VII, Chapter I of Burundi’s Penal Code. Loi n˚ 1/05 du 22 avril 2009 portant révision du Code pénal.